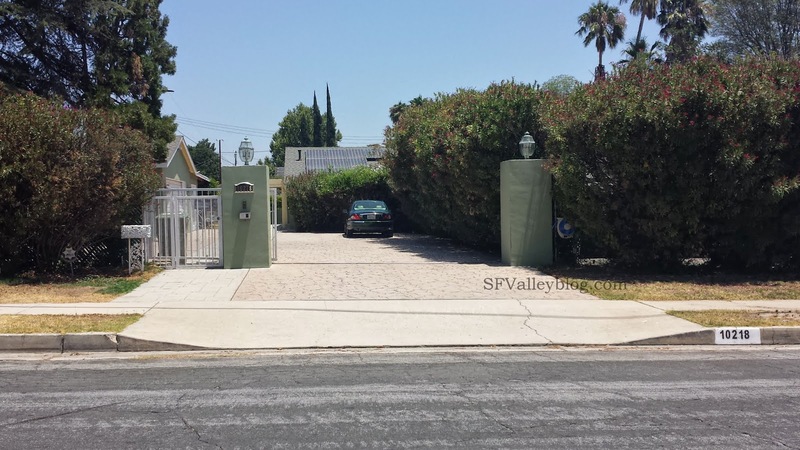 [Update August 22, 2015]: I received building and demo permits from a loyal reader confirming the location of the Desilu Ranch that is described in this post. Additionally, the permits show noted architect, Paul R. Williams, as the architect. You can read more here including the permits. 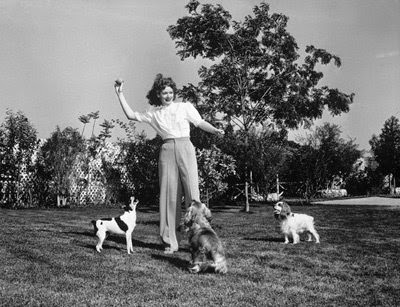 A great image of Lucy walking her many dogs down the driveway to her home with the entrance off of Devonshire seen in the background. Image provided by Jack Kugell. Marty McFly here to take you on a journey to the former Desilu Ranch owned by Lucille Ball and Desi Arnaz at 19700 Devonshire St Chatsworth 91311 The Delorean has the required plutonium plus some random garbage in the Mr. Fusion reactor ready for this trip. The time circuits are set to sometime in 1941 (actual date unknown) and the flux capacitor is......fluxxing. The engine is running (not stalled this time) so we need to hurry. Hang on, as the ride can be a little bumpy as we travel back in time. 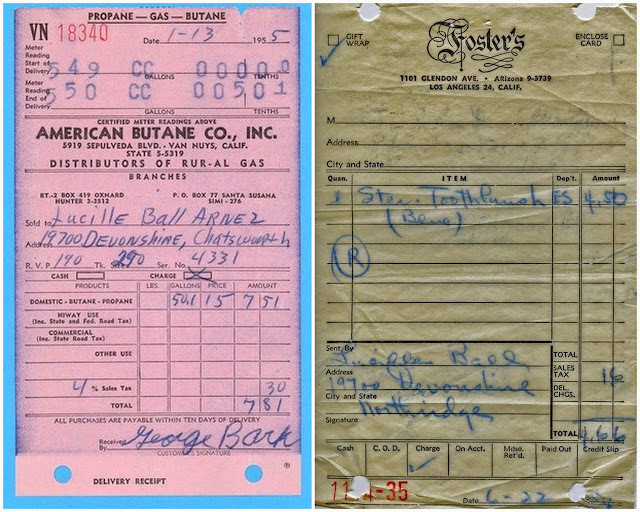 Service receipts auctioned off eBay showing Lucille Ball and Desi Arnaz address, amazing that these still exist. 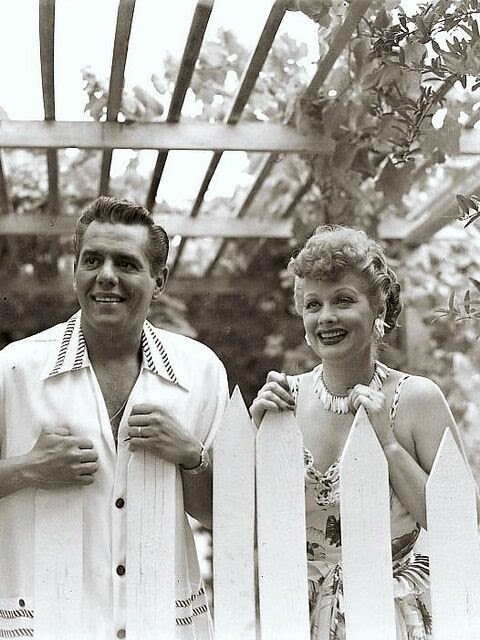 Lucille Ball was 28 and Desi Arnaz, her bandleader husband, just 23 when they paid $16,900 for a ranch house and five acres behind a white plank fence at 19700 Devonshire Street, in orange groves between Northridge and Chatsworth. 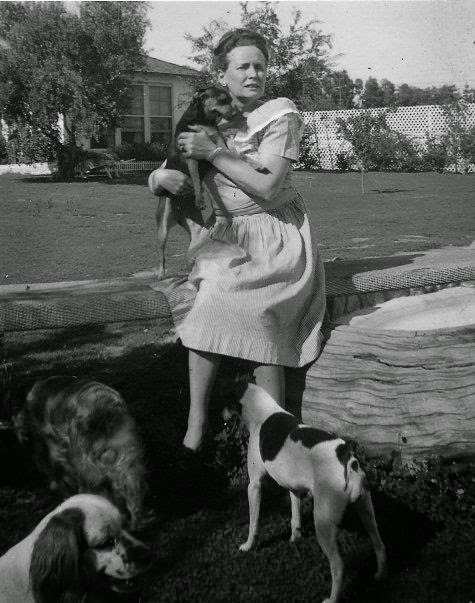 They dubbed it Desilu Ranch, bought a station wagon and adopted a pack of dogs and six cats. 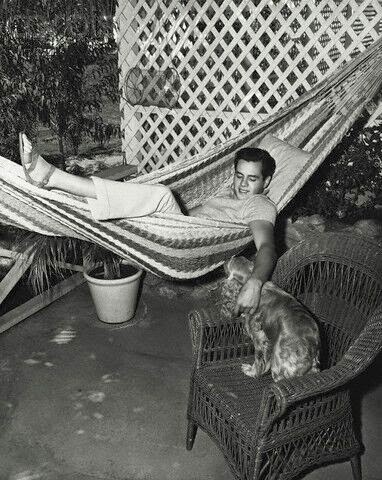 Desi planted fruit trees and built an extra suite for parties that also served as his home in exile when the couple fought, which they did often. 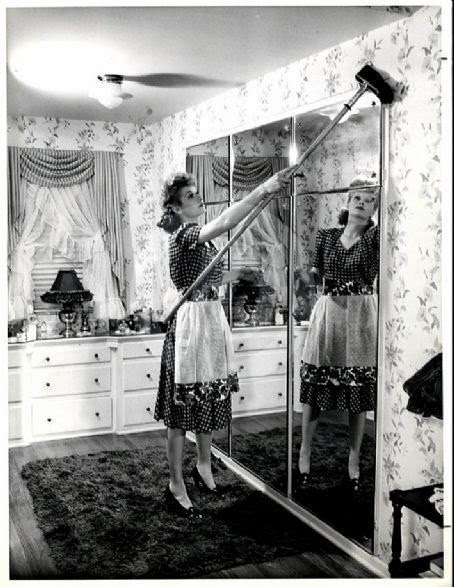 One morning, Lucy got up at dawn and in a rage used a hammer to smash every window in the station wagon. They also made up with style. 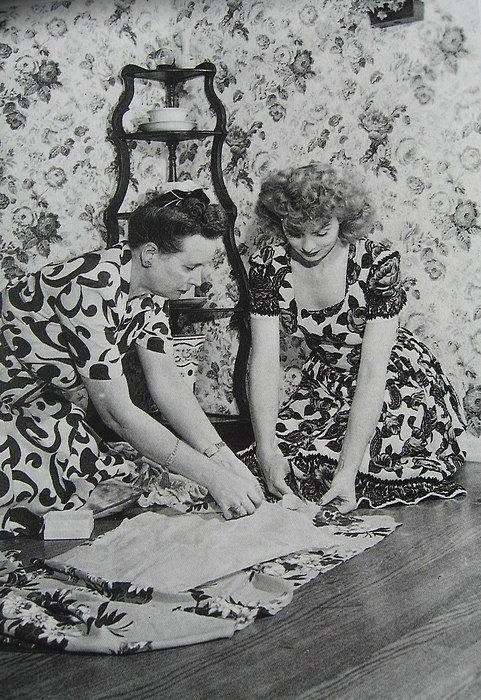 On her thirtieth birthday, Desi sent Lucy to town to do some shopping. When she returned in late afternoon, she traversed the long driveway off Devonshire to find a Latin combo leading 40 friends in "Happy Birthday." Floating white gardenias covered the pool. 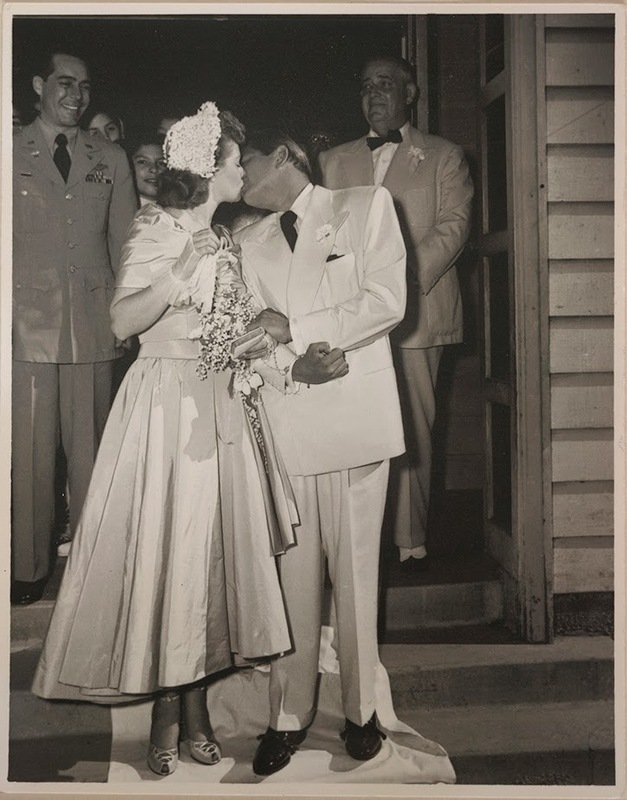 Lucille Ball and Desi Arnaz married for the second time at Our Lady of the Valley Church in Canoga Park on June 19, 1949 which also happens to be where I attended elementary school and church. 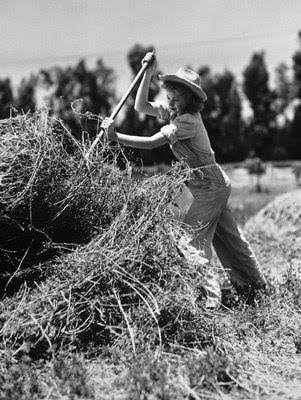 Image courtesy Library of Congress. 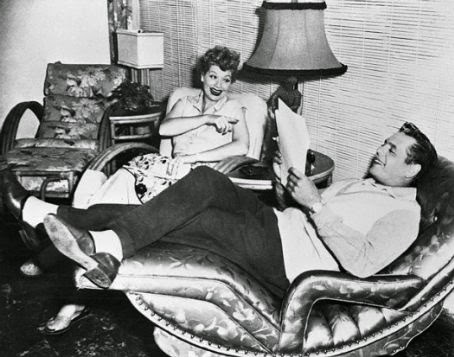 I think its safe to say that we all grew up watching I Love Lucy starring America's favorite couple, Lucille Ball and Desi Arnaz. 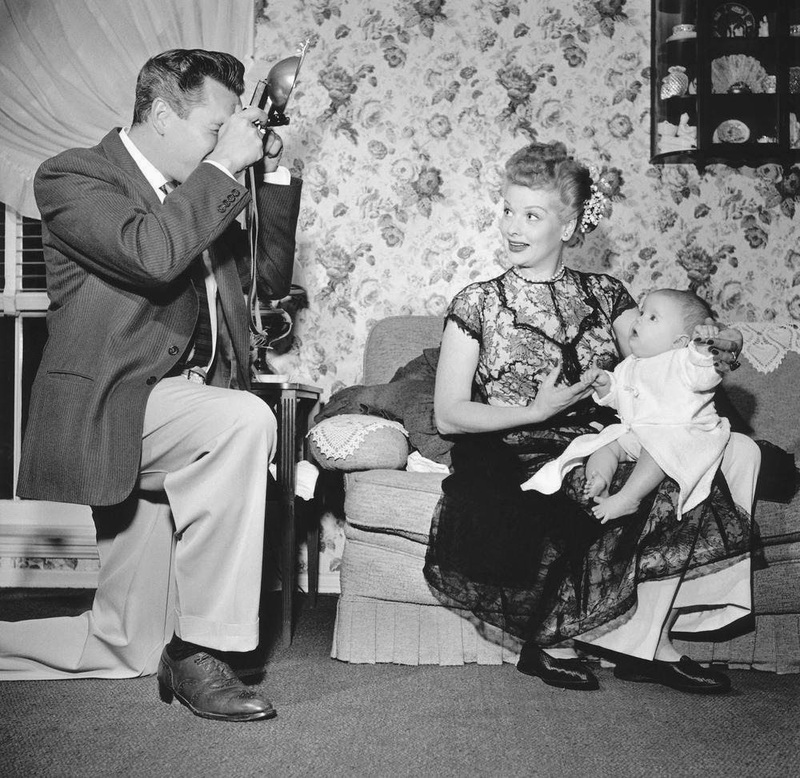 The show is still hugely popular today and still can be seen on various TV networks despite being filmed in the 1950's. 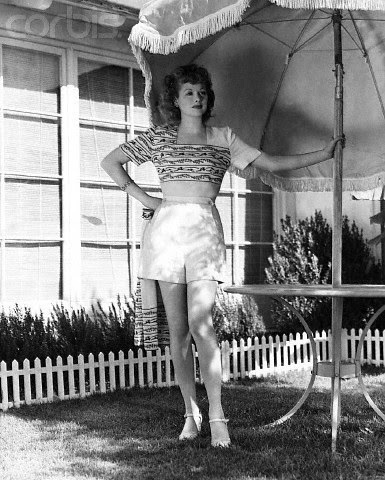 However, prior to I Love Lucy, Ball was mostly known as "Queen of the B's" for starring in a number of B-movies and never gaining any real stardom in Hollywood. 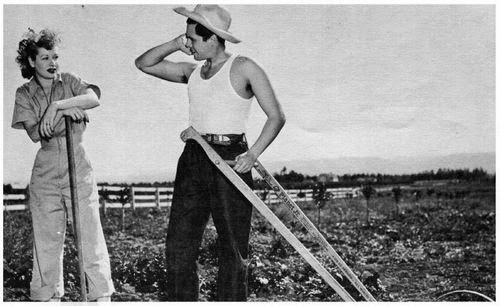 It was during this time, that Ball and Arnaz who married in 1940 would purchase a modest ranch a year later on Devonshire St in Chatsworth. So being the location fanatic that I am, I type in 19700 Devonshire in Google Street View (shown above) to locate the Desilu ranch today which takes me directly to the intersection of Devonshire and Corbin with no homes visible and walls surrounding every corner. I switch to the aerial view only (shown below) to find 1970's tract homes with nothing reminiscent of a 1940's era ranch. 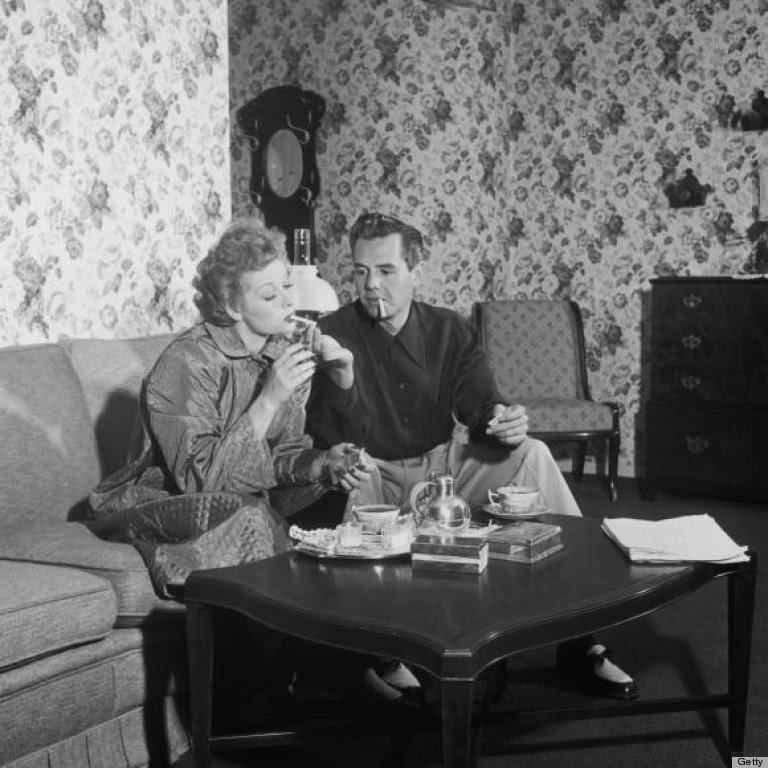 And so begins my obsessive like quest to find either the Desilu Ranch or its former location. 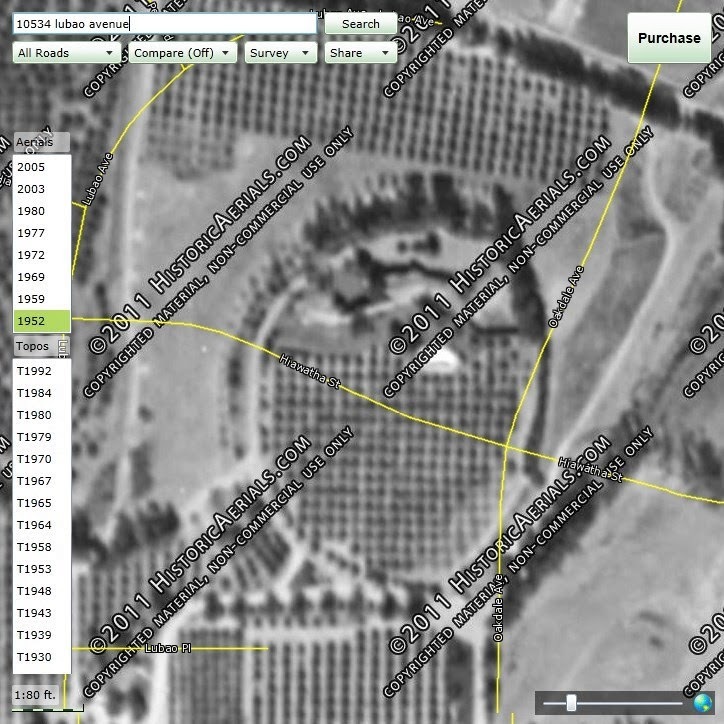 I wont waste any time here and state that my findings concluded with 19700 Devonshire Street being the location of the Desilu Ranch but slightly west of Corbin. I will explain in detail below why I believe this is the location and also rule out some of the other rumors and folk tale that have been surfacing ever since. My findings as explained below are based on the little known facts and clues available from the internet so its possible that I am wrong or miss something. Feel free to correct any errors or incorrect assumptions you find by dropping a comment. 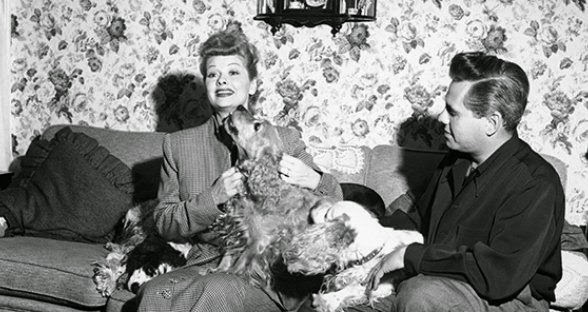 I first started looking for the Desilu Ranch in 2009 partly because my girlfriend loves Lucille Ball but also because Ball and Arnaz are one of the most popular celebrities with a massive worldwide reach even till this day some 60 years later after the biggest hit, I Love Lucy, first aired. I initially searched in 2009 before I was even thinking about blogging but that search didnt yield much luck so I gave up for a couple of years. However, I recently got an awakening after some Facebook discussions regarding this topic and started to put my research hat on again and try to find the missing pieces of the puzzle. 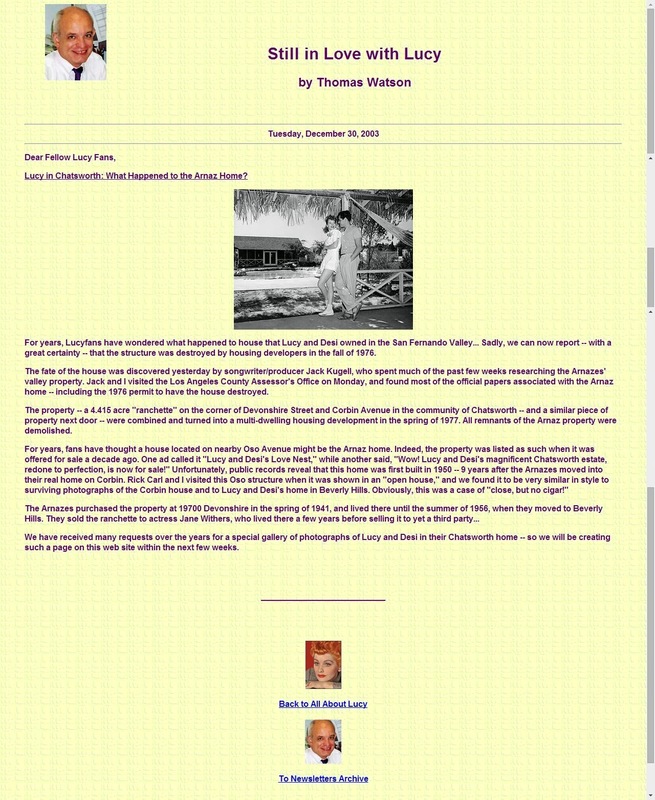 The biggest fact that I could find regarding the Desilu Ranch location was from the Lucyfan.com website written by Thomas Watson published on December 30, 2003. 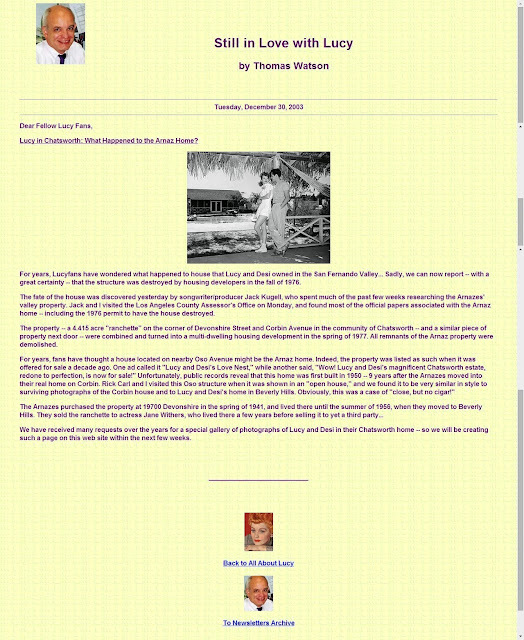 In that article shown below, Watson and songwriter/producer, Jack Kugell, researched the LA County Assessor's office and discovered that a demolition permit was issued in 1976 which coincides with the rest of the ranch being subdivided into tract housing. Thomas Watson and Jack Kugell provided some great investigative work tracking the house down back in 2003. Image courtesy lucyfan.com. 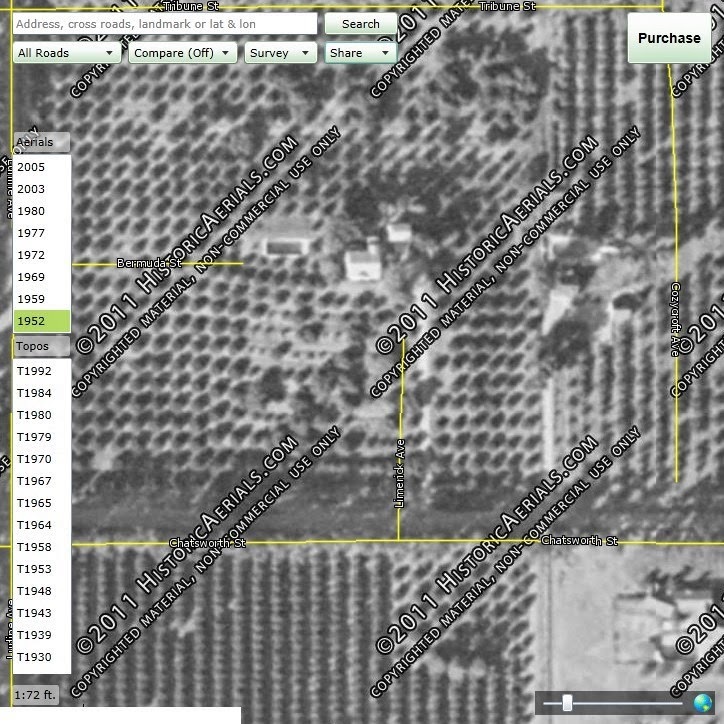 Using my favorite website, historicalaerials.com confirms that going back to the oldest year available, 1952 (shown below), shows that there were two adjoining properties at the corner of Corbin and Devonshire and there wasnt much else around it except rows upon rows of orange groves. 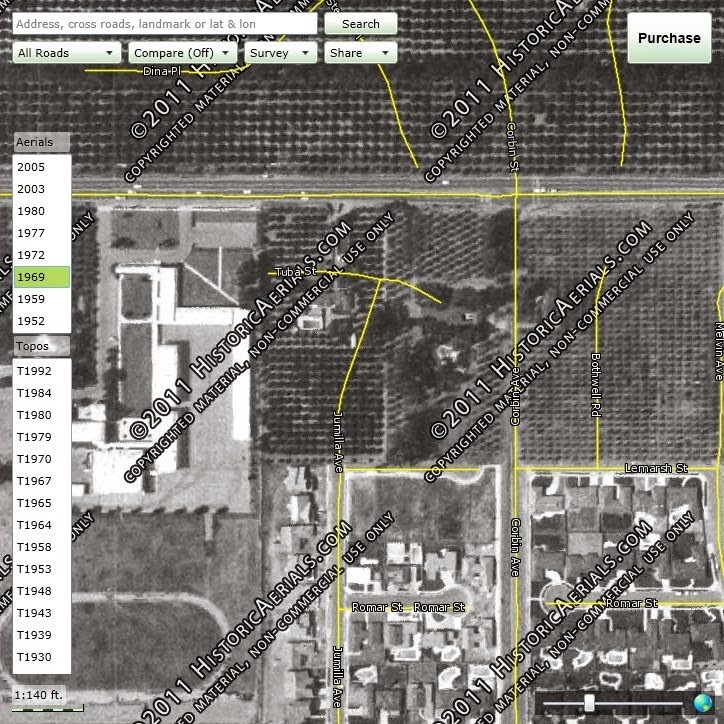 You will also notice in the picture that the house is located several yards south of Devonshire which matches Roderick's description of "a long driveway off Devonshire" in order to reach the main home. 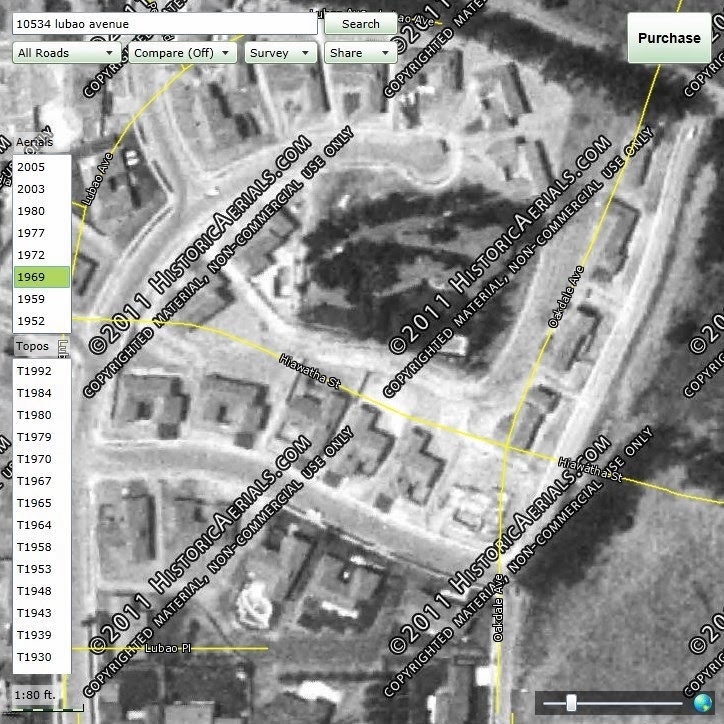 Historical image showing 1952 with two properties near each other. 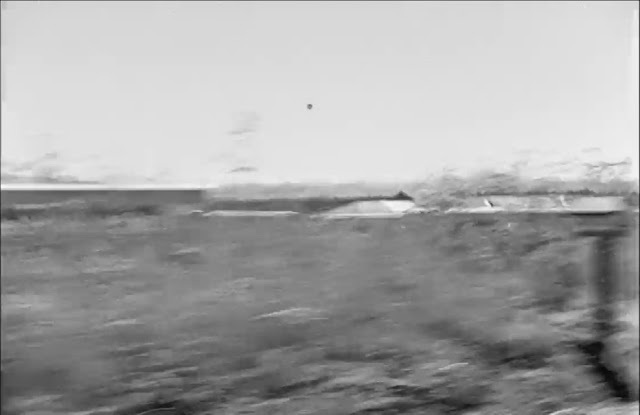 The property on the right is the Desilu Ranch which was later demolished. The property on the left still remains today despite subdivision all around it. Image courtesy Historicaerials.com. I once had the impression that the street addresses of 1940 didnt line up with today's street addresses meaning that 19700 may have possibly been located a few blocks west of Corbin and were somehow relocated at some point later when all the development took place. But that assumption is incorrect and those addresses from the 1940's still match today. 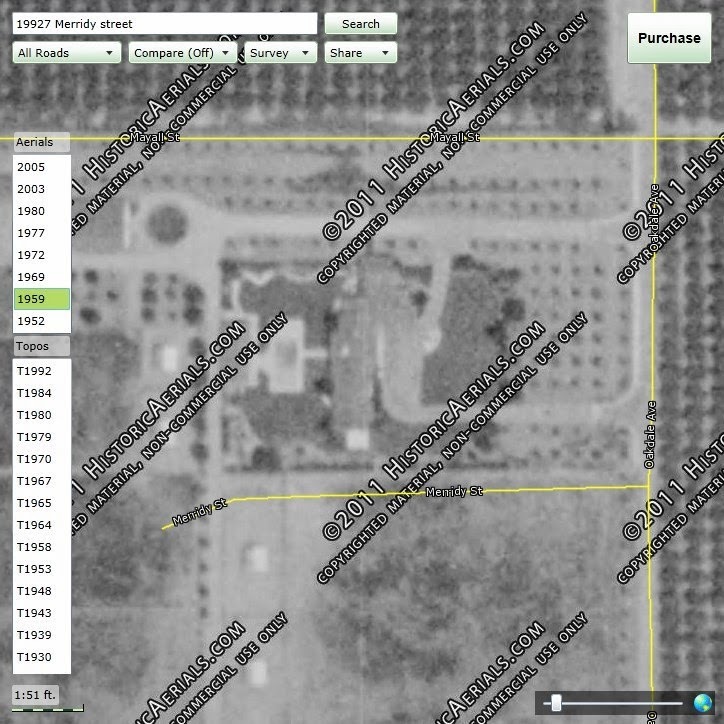 So when Desilu was built, it was truly at the corner of Devonshire and Corbin as it is today but with the only difference being that the property was spread over 5 acres so that the actual location of the home was set back several yards from the location of 19700 Devonshire St. Today, the location of the main home is roughly at 19718, 19710, and 19704 Tuba Street and 10218 Jumilla Avenue. 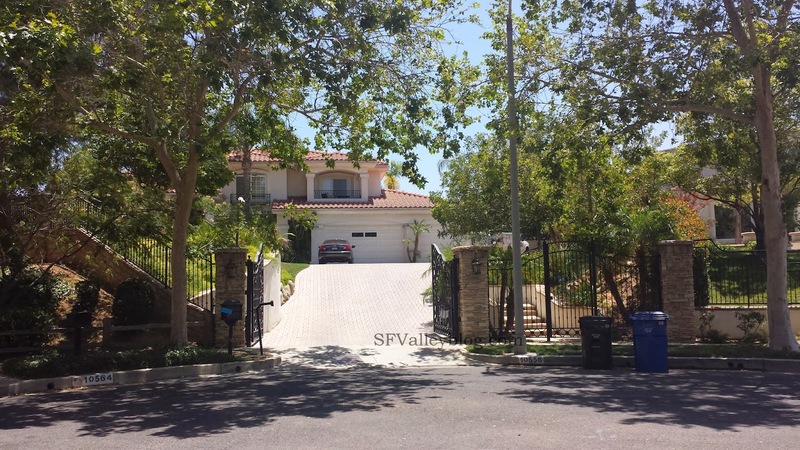 Those homes have the distinction of claiming they are on the former site of the Desilu home but the same can be said for the rest of the nearby homes as being on the former site of the entire Desilu ranch. 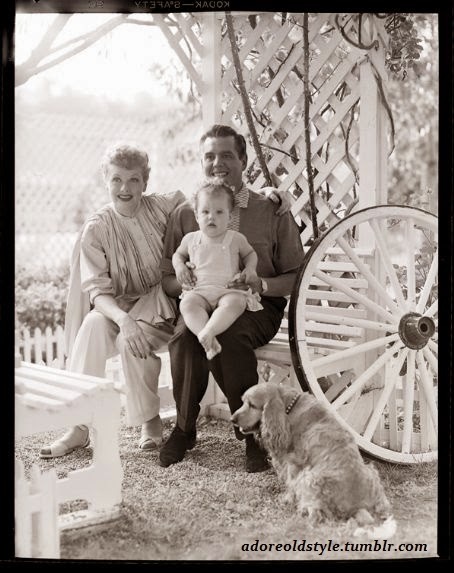 While Lucille Ball and Desi Arnaz owned the Desilu Ranch, Ball gave birth to their two children, Lucie (1951) and Desi, Jr (1953) before selling the property in 1956 to fellow actress Jane Withers who was best known as a child actress in the 1930's and 1940's. 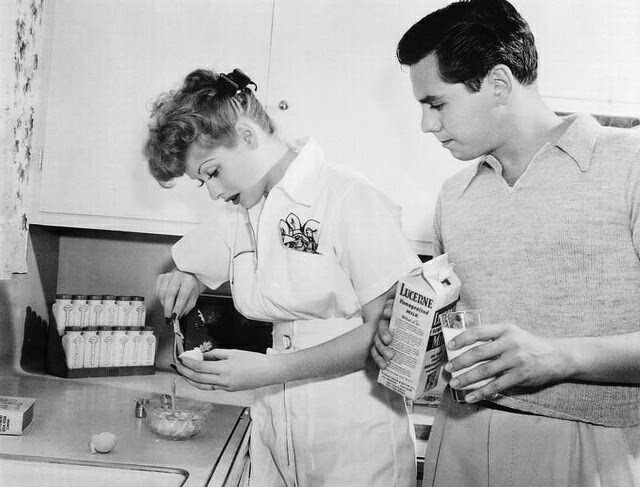 I believe Ball and Arnaz sold the ranch due to their exponential success with I Love Lucy as well as Desilu Studios which required more of their time and they couldnt make the trek back and forth from Hollywood so they moved into a Beverly Hills home. Keep in mind there was no 405 or 118 Freeway at the time, so the drive from Hollywood to Chatsworth must have been long and difficult. 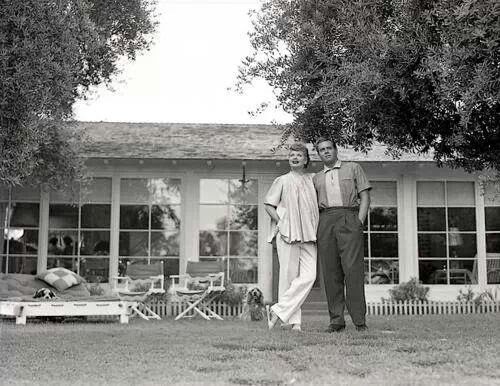 Another interesting fact about the Desilu Ranch is that the nearby property which has been around since the Desilu Ranch days currently located at 19730 Tuba Street was never demolished and still exists today. 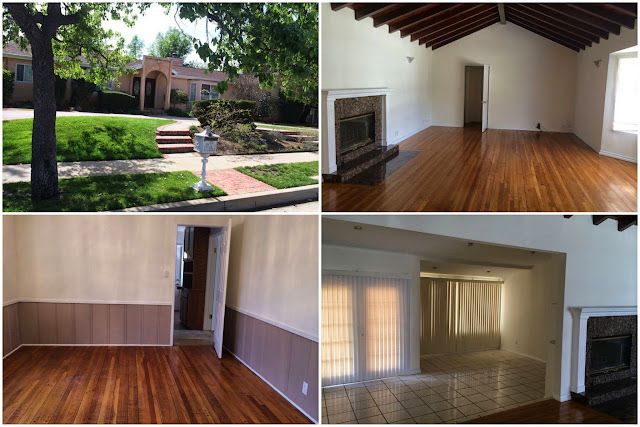 I dont believe this home originally was part of the Desilu Ranch because based on the historical maps shown below, there was a clear separation between properties. 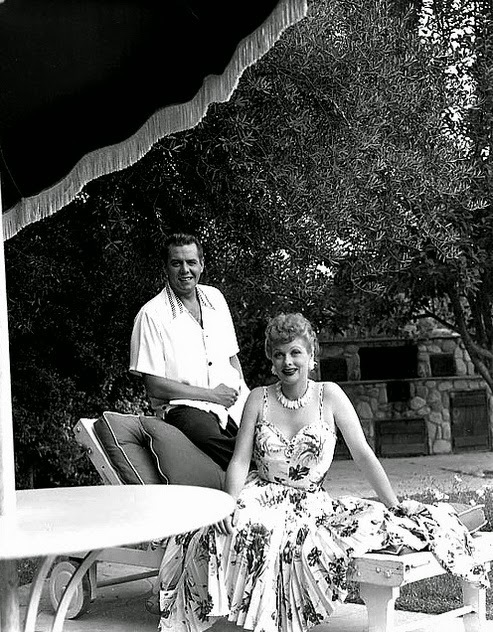 Additionally, the inclusion of the 19730 Tuba home in the Desilu Ranch would exceed 4 or 5 acres that has been quoted as the total acreage of the ranch, as well as there was no guest house behind the pool. More on the 19730 Tuba home is discussed after reviewing the maps. Now using the Delorean time machine to visit the years 1940ish, 1952, 1959, 1969, 1972, 1977, and 1980 (all shown below), we can see the Desilu Ranch and the nearby property as well as the evolution that took place over time to the present state where the 19730 Tuba home is still standing surrounded by tract homes all around which makes it truly stick out. 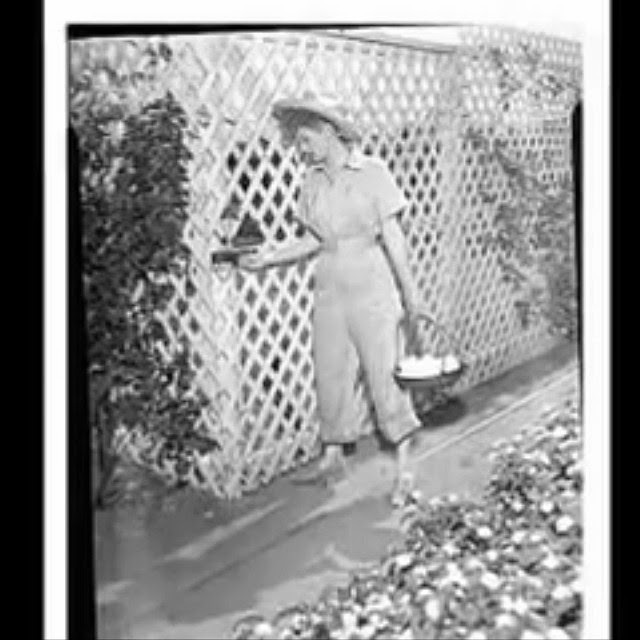 [Update June 25, 2014]: Dana Amann connected with me on Facebook and brought to my attention that the Desilu Ranch can be seen on an old filming archive of Devonshire Street in the early 40's available on youtube as well as an image of the home seen from the street from a Lucy book as shown below. 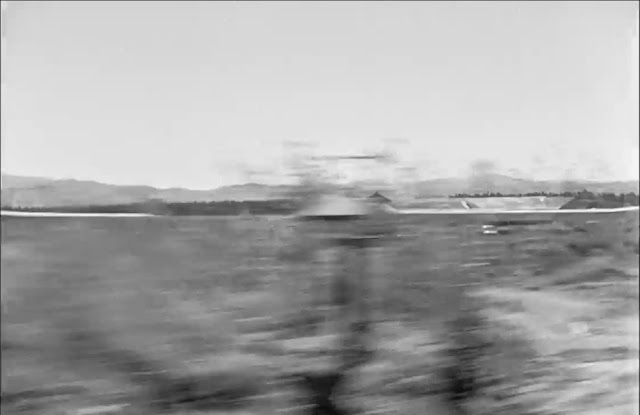 It appears that this filming was shot either for scouting or to use as driving background images for a film but that's just all speculation. 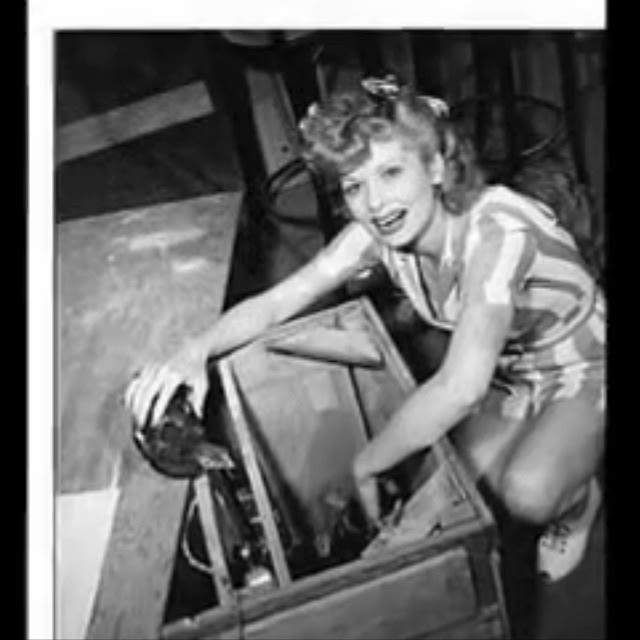 The Desilu Ranch can be seen at the 5:00 minute mark and the 19730 Tuba home can be seen at the 4:53 mark. 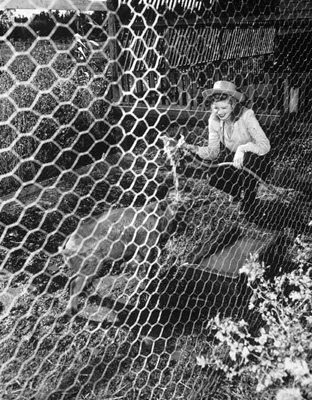 This film is simply amazing as it 1) captured the Desilu Ranch and 2) is possibly the only known source capturing Devonshire in the early 40's. I also posted image stills of the two homes just below the video. [End Update]. 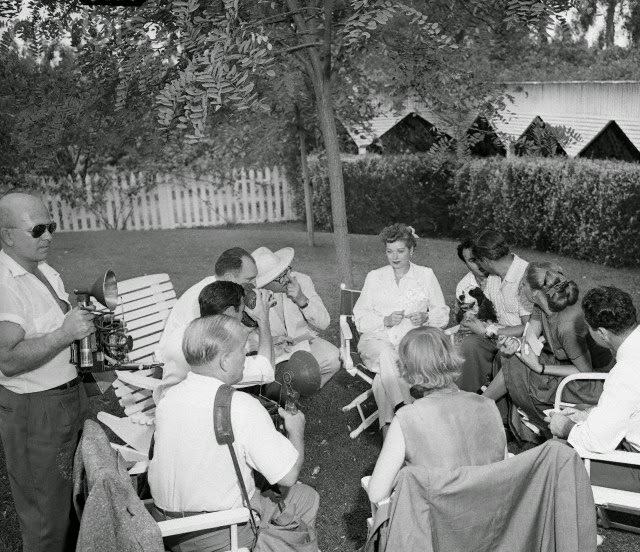 The Desilu Ranch with a one lane Corbin seen in the lower left which I dont know if Corbin even officially existed at the time. 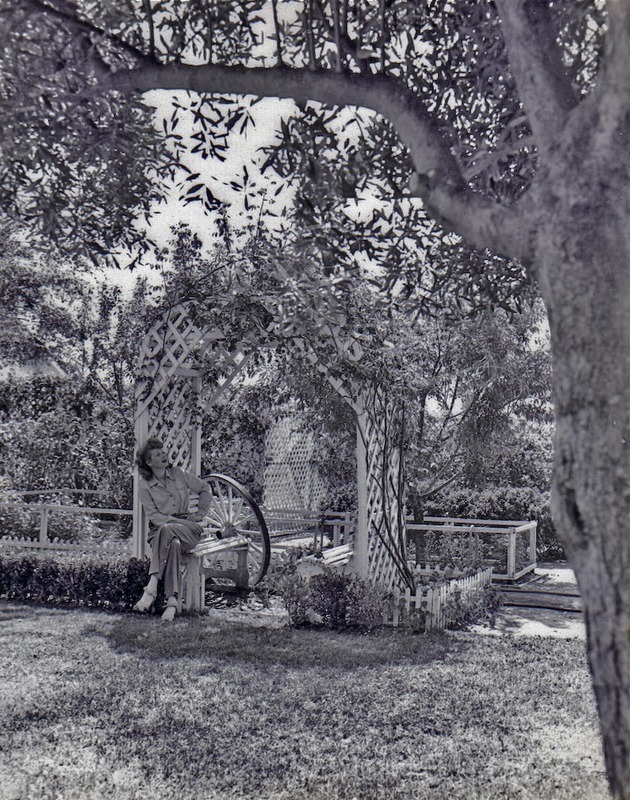 The ranch appears to be modest and looks relatively empty with no orange groves as seen in other pictures below suggesting that this image may have been from the early 40's shortly after construction. Another view of the Desilu Ranch just east of Corbin. 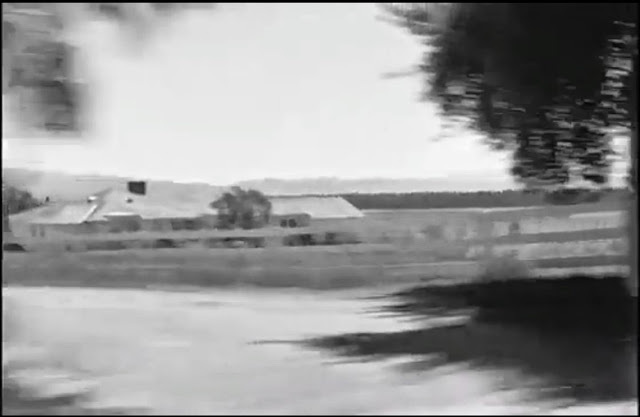 The Desilu Ranch shortly after construction as seen from Devonshire from a Lucy book. Image courtesy Dana Amann Facebook. 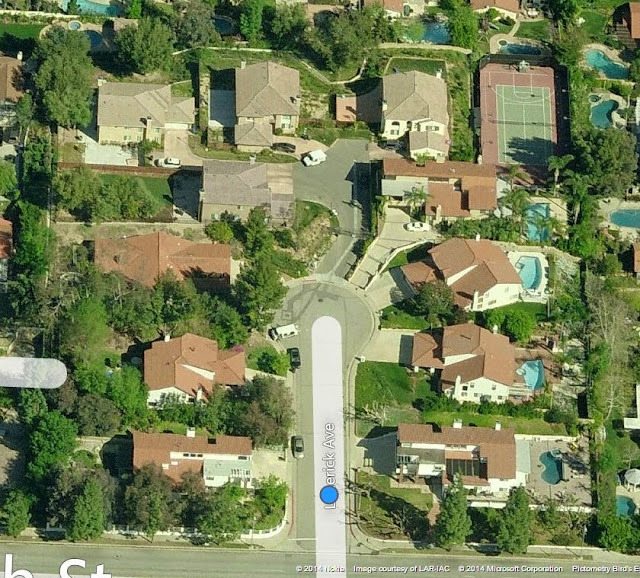 This is the best image I could capture of the 19730 Tuba home shown on the left with the driveway in the center-right. As the camera continues eastward, the view of the home is blocked by the fence and trees but you can get a better view watching the video from above. 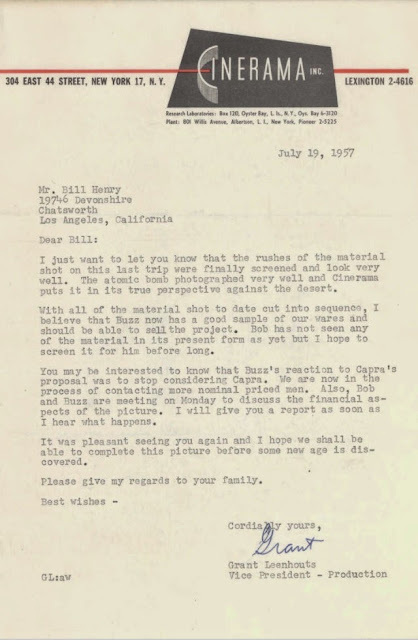 [Update July 20, 2014]: Jack Kugell contacted me after reading this post and also discovered that the mailbox with its distinctive weather vane that Lucy is posing in front of (the image at the top of this post) can also be seen in the historic video. 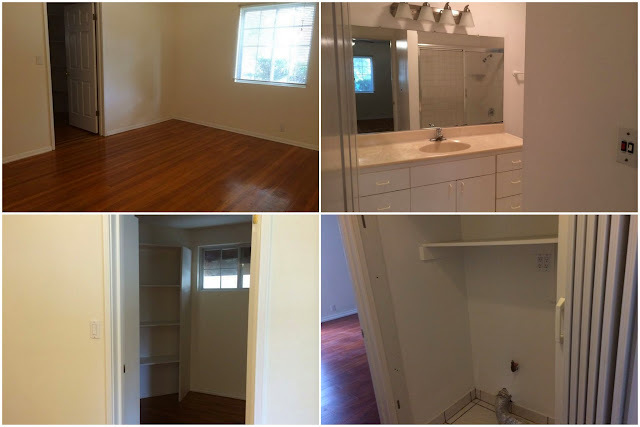 The images are blurry but the mailbox and weather vane can be seen. Mailbox on the right is Lucy's. House on the left with garage door open is Lucy's. 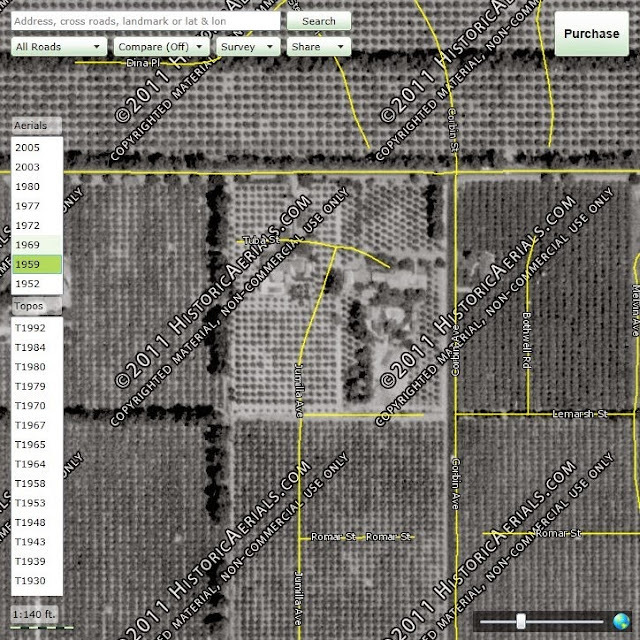 Historical image showing 1952 with only the Desilu Ranch on the right and the 19730 Tuba home on the left and endless rows of orange groves. Image courtesy Historicaerials.com. Historical image showing 1959 with not too many changes since 1952. Image courtesy Historicaerials.com. Historical image showing 1969 with development well underway and encroaching including the Chaminade middle school campus already built. Image courtesy Historicaerials.com. Historical image showing 1972 with major development on its way into the mid-70's. 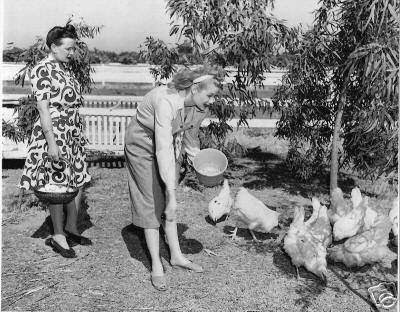 The Desilu ranch loses most of its orange groves as well as most of the land north of Devonshire when compared to 1969. Image courtesy Historicaerials.com. Historical image showing 1977 with all nearby land well under way into development including the demolition of the Desilu Ranch except for the 19730 Tuba Street home. Image courtesy Historicaerials.com. Historical image showing 1980 with all nearby land fully developed. Image courtesty Historicaerials.com. Here's a photo of the Flower's back yard at 19805 Labrador in 1962. There's a lamp post on Lassen. The north side of Lassen is lined with an orange orchard. 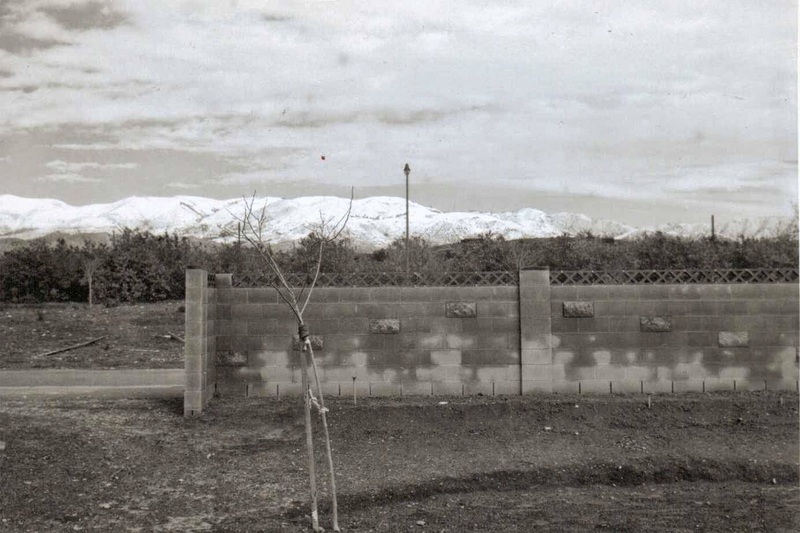 The snow-covered mountains show the darker Northridge Hill in relief. Devonshire is just this side of Northridge Hill. 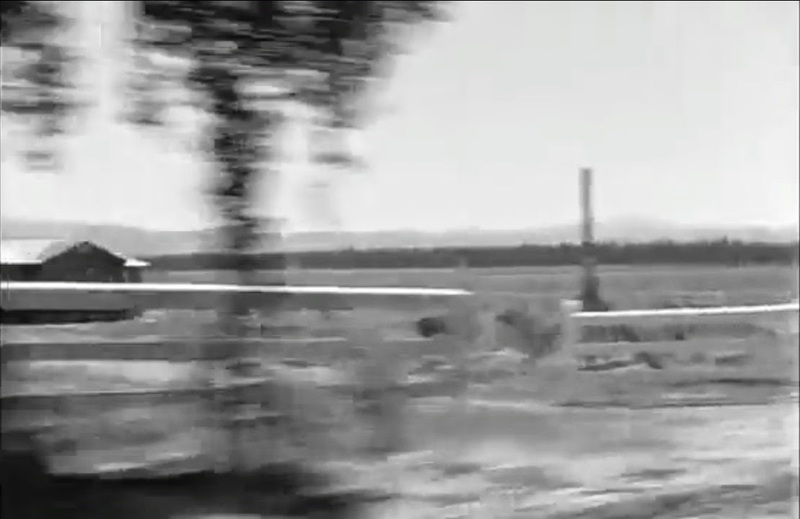 If these orange trees werent there, we would be looking straight at the former Desilu Ranch. Switching back to the 19730 Tuba home, another fact I uncovered which may not have any relevance to the Desilu Ranch but wanted to share it anyways was that the pool south of the home shown in the 1980 image above was demolished and subdivided with a new home built in 2002 located at 10225 Jumilla Avenue (shown below). The sales history here is interesting as it shows that William Slattery purchased this property for $475,000 from James J. Bizzelle on January 5, 1989 which I think the purchase price also includes the 19730 Tuba home. Afterwards, I believe Slattery lost the entire property to foreclosure with Martha & Frank Kertesz selling the property to current owner Silva Derderian on April 30, 1996 who built the brand new structure in 2002. 10225 Jumilla Avenue on former pool site of 19730 Tuba Street home. 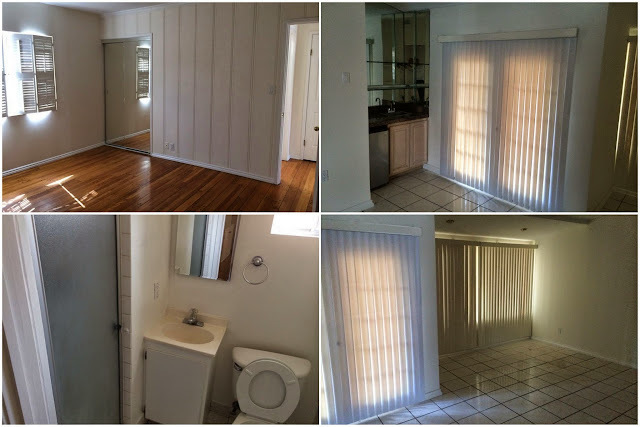 The 19730 Tuba home (shown below) was most recently listed for rent which is currently owned by Andre Ohanian who purchased on March 15, 1995 for $152,500 from EMC Mortgage Corp which acquired from William Slattery on July 14, 1993 for $278,786 which I think was a foreclosure from the 80's R.E. bubble. 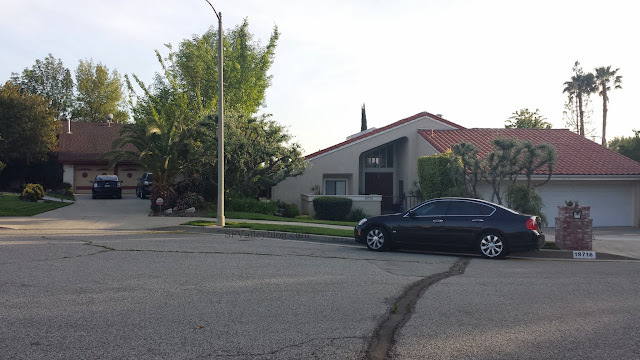 Today the property records show two different structures at 19730 Tuba Street with one home measuring 2,332 sqft built in 1941 and last altered in 1984. The second home measures 1,162 sqft built in 1945 and last altered in 1979. 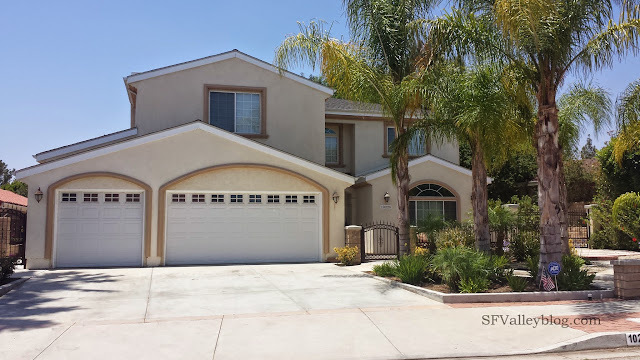 Overall the home measures 3 Beds/4 Baths on 3,494 sqft on a total lot size of 0.37 acres. Assuming this property was not altered significantly over the years, the images below from the most recent rental listing gives a good glimpse of what the main home of the Desilu ranch may have looked like. I am not sure why the 19730 Tuba home survived the housing development that took place in the mid-70's which begs the question why did the Desilu Ranch get demolished if it was known as being the former home of Ball and Arnaz? 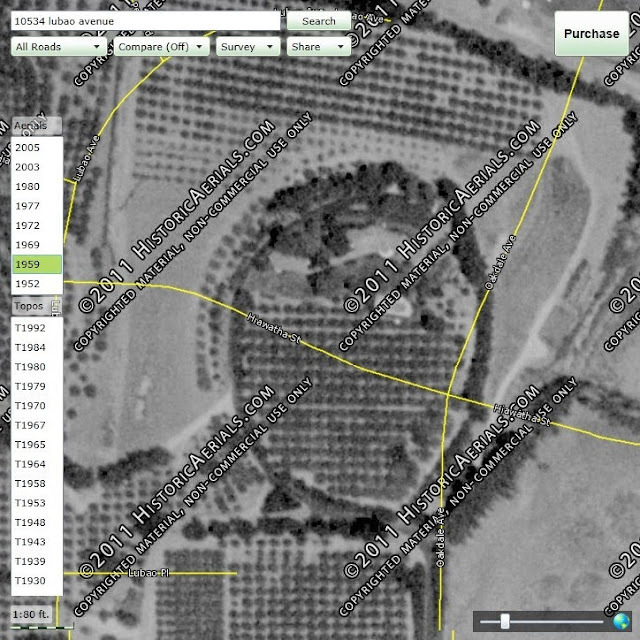 So the only conclusions I can come up with, is that the home was in a horrible condition that it wasnt worth saving at the time of subdivision, there was significant damage from the 1971 Sylmar quake beyond repair, the developer didnt know its historical significance, or the Desilu Ranch was never a part of the 19730 Tuba home and the owner of the Desilu Ranch simply got bought out by the developers who didnt know or care about the significance of the Desilu home. 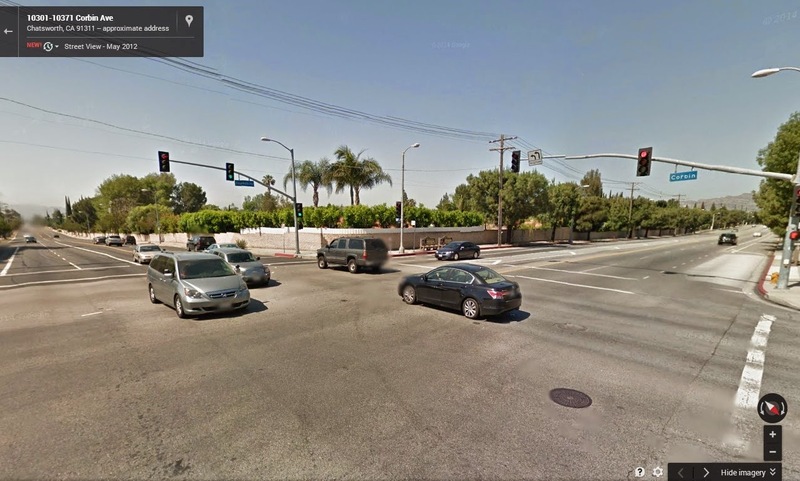 [Update June 25, 2014]: According to the commenter, 'tjw' at Lucylounge.com, the property at 19730 Tuba was owned by William Mellors "Bill" Henry who was writer for the LA Times and best known for his "By the Way" columns that appeared from 1939 to 1971. 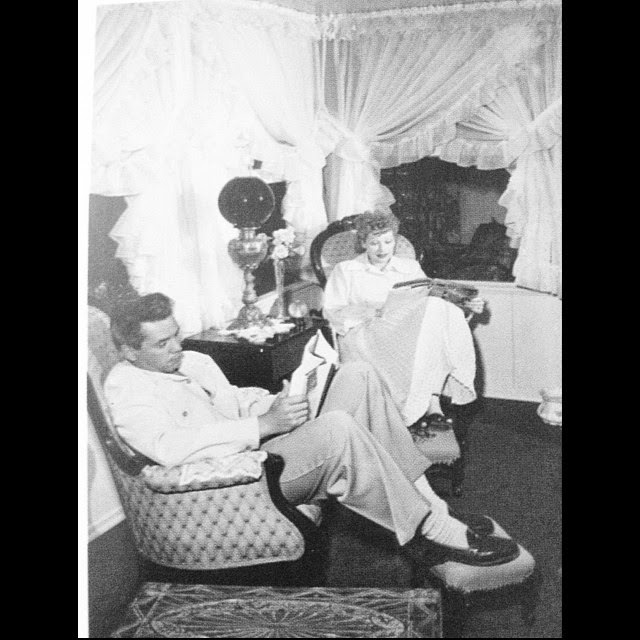 The developers purchased both the Desilu and Tuba homes at the same time but demolished the Desilu home because it didnt "fit" with the layout of the development meaning they could squeeze out more homes on the property while being compliant. On the other hand, the Tuba home didnt interfere with the development plans and was consequently kept. The odd thing here is that the developers actually tried to save the home compared to today's developers where everything is gutted out and built new. 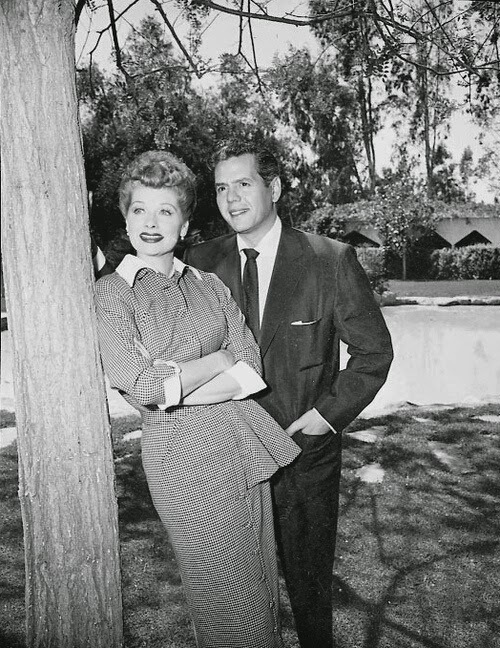 Just imagine if the Desilu was situated in the right spot, it would still be standing today. Ugh! [End Update]. 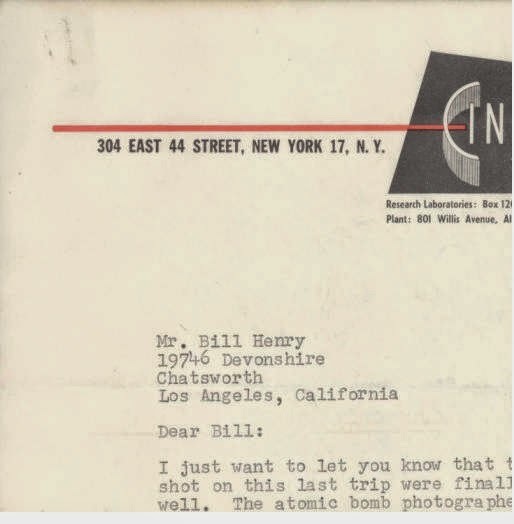 [Update July 20, 2014]: Jack Kugell contacted me after reading this post and discovered that the Bill Henry home's original address was 19746 Devnoshire as shown in the letter below which was later changed to 19730 Tuba as a result of the subdivision. 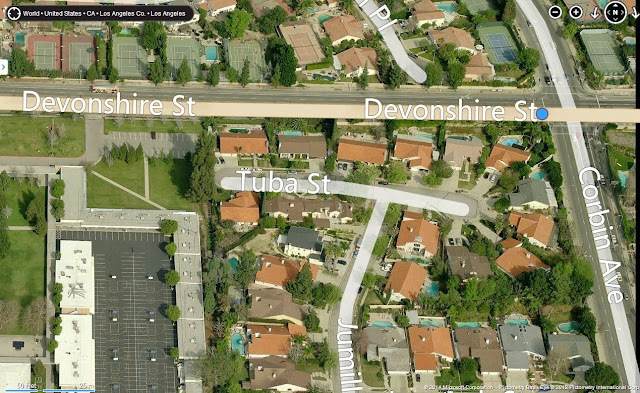 If you type in 19746 Devonshire in Google Maps today, you will be directed to about 19730 Tuba but on Devonshire. Note the last paragraph with the reference to Lucy. Above images provided by Jack Kugell. 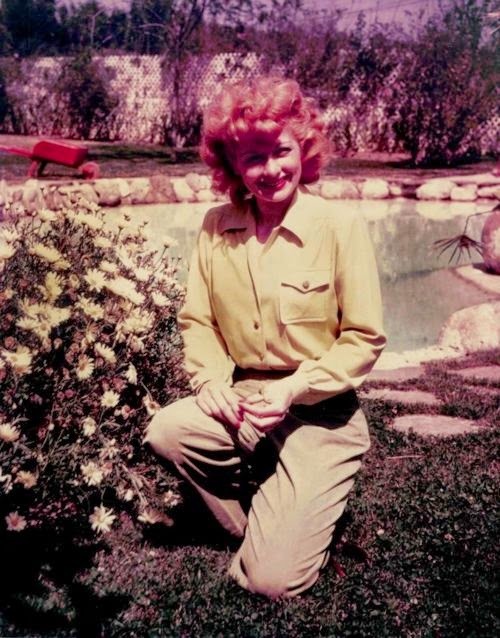 So moving onto the other reported locations for the Desilu Ranch which have sort of become folk tale now because no one knows for sure but they heard from "someone else" that claimed it was the Desilu Ranch. 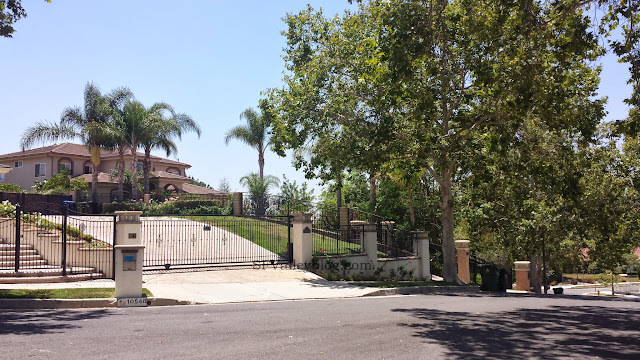 It's also possible that the homes mentioned below may have been owned by Ball and Arnaz as second homes for family or investment but there is no evidence that I can find confirming that. Starting with 10218 Oso Avenue (shown above) which the property records state was built in 1950 so that single handedly cannot be the Desilu Ranch if Ball and Arnaz purchased/built in 1941. Also, looking back at the 1952 historical map (shown below) shows a home with no pool, no long driveway, orange groves, guest house, or anything else that matched the description of the home from articles and even pictures. 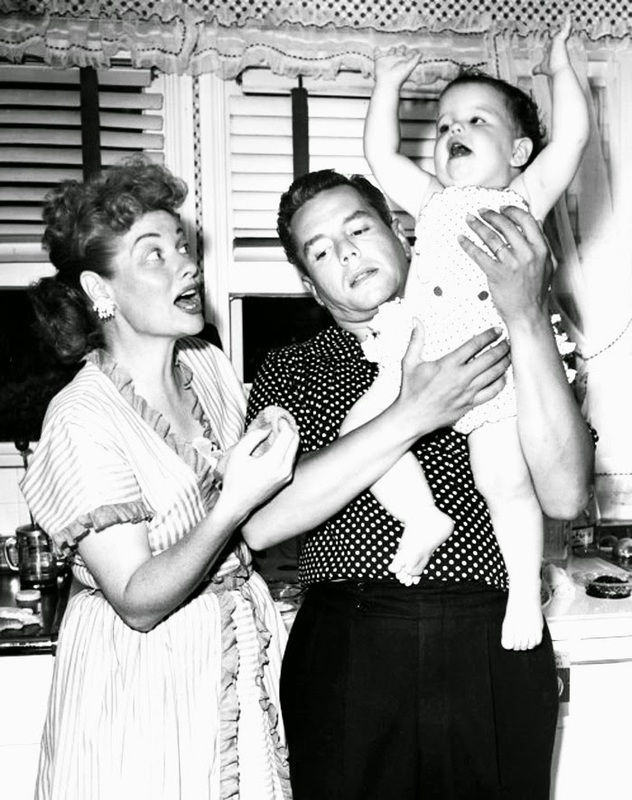 But lets say, Ball and Arnaz didnt fix up the home until their later years living there as they started making more money. 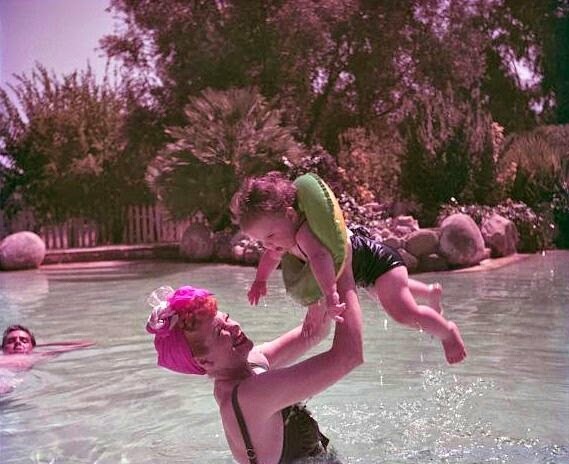 So looking at the next available year in 1959 (shown below after 1952) shows that scenario happened exactly where the 1952 home looks completely upgraded including a pool by 1959. 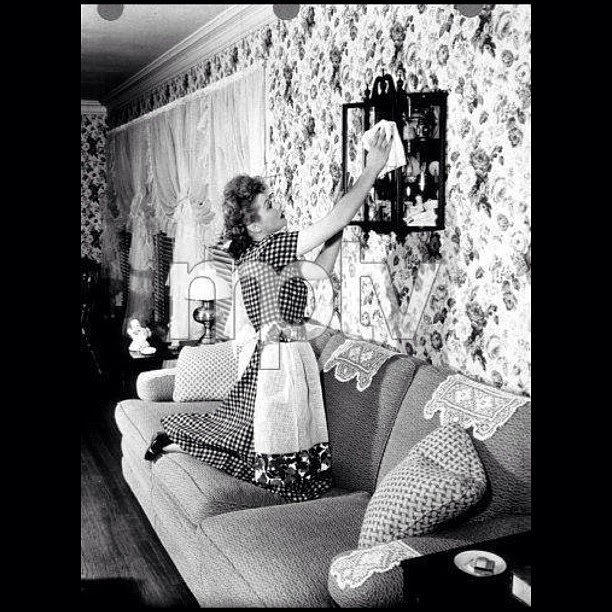 Now we know that Ball and Arnaz sold in 1956 so its possible that they upgraded this home with the publicly available pictures from their time at the home (see very bottom) possibly taken after they upgraded and just prior to selling in 1956. 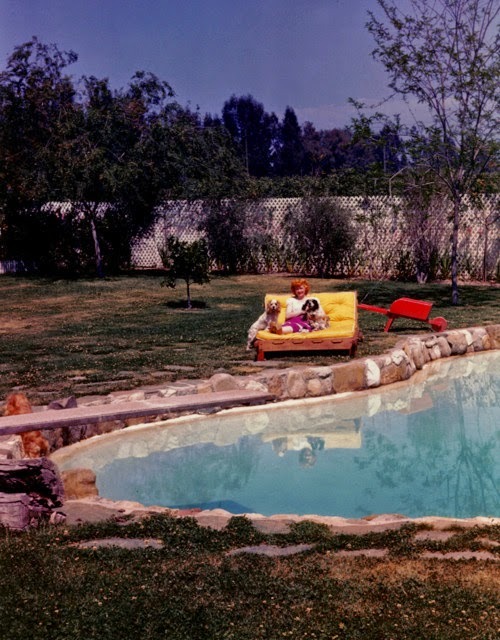 But there is just one problem, all of the pictures show a circular shaped pool with the guest house behind it and this home does not have either the circular shaped pool (rather a rectangular one) or a guest house behind it. 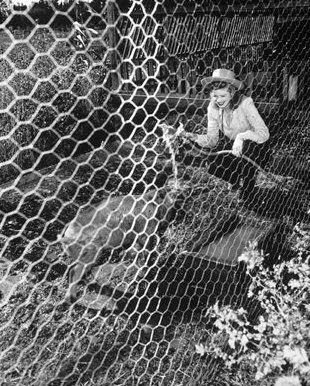 Probably one of the main reasons for the confusion of 10218 Oso Avenue being the Desilu Ranch is a February 22, 1998 LA Times article in the Hot Property section written by Ruth Ryon who was a notable celebrity real estate writer (and one of the few writers at the time writing about celeb R.E.) 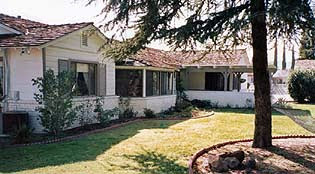 that stated this home belonged to Ball and Arnaz as shown in the image below. 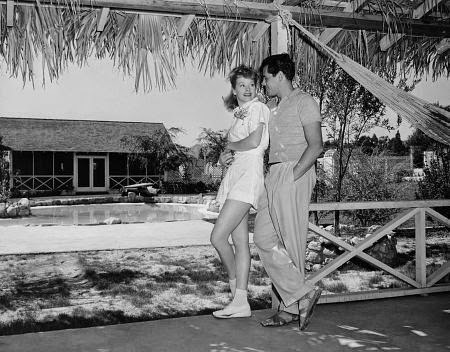 However, Ryon makes one mistake in mentioning that the home was built in 1950 which we know conflicts with other reports that the Desilu Ranch was built in 1941. So this could be a case where the owner and/or realtor were misled at some time by "someone else" that the home was the Desilu Ranch and spread this info to the LA Times in the hopes of gaining publicity. LA Times Hot Property article by Ruth Ryon published on February 22, 1998. 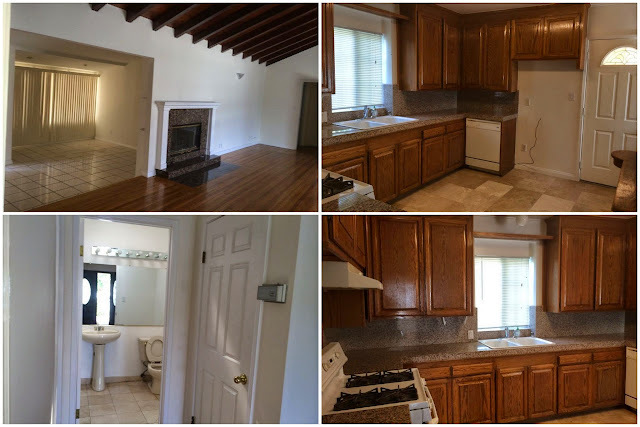 The only significance of this home it that has remained mostly intact since the 1950s while housing development took place all around it in the 1960's. One other fact to consider is that the Oso location is about 3 blocks west of Corbin which doesnt align with the 19700 street address. 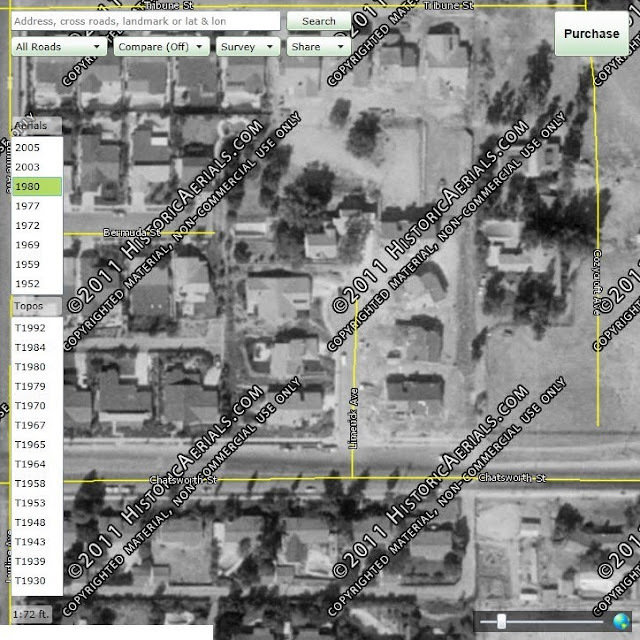 The second reported location is 19927 Merridy Street (shown above, Oakdale is the nearest intersection) which appears to be a possible location except there is one problem, no house existed in the 1952 historical map shown below. 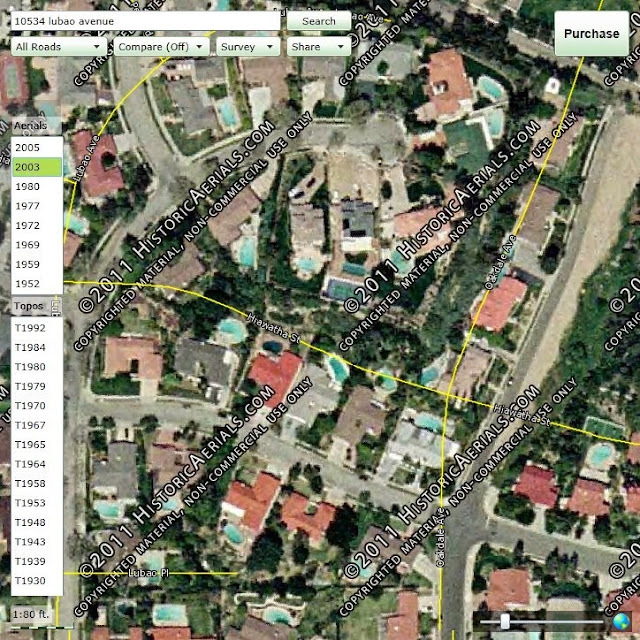 The next available map in 1959 (shown below after 1952) shows a home with a pool and guest house behind it that looks similar to the Desilu Ranch with property records showing the home built in 1955 so that doesnt match with the earlier known fact that Ball and Arnaz were living in the ranch since 1941 and sold one year later in 1956 after it was built. The other conflicting info just like the Oso home is that this address is located about one block southwest of Corbin which wouldnt align with the 19700 street address. 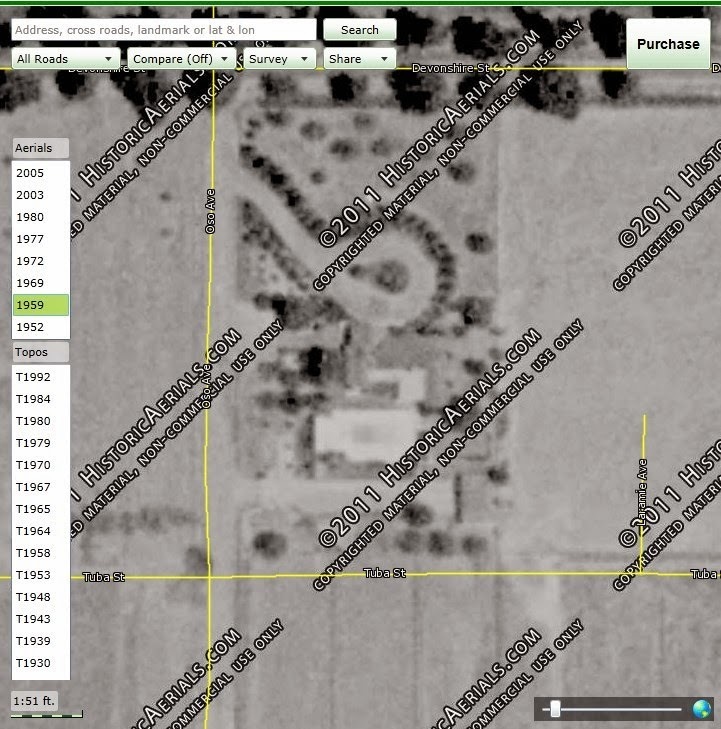 Even if Merridy and Oakdale didnt exist at the time and the nearest mailbox address was via Devonshire, this home would still be about one block west of Corbin which would be too far from 19700. 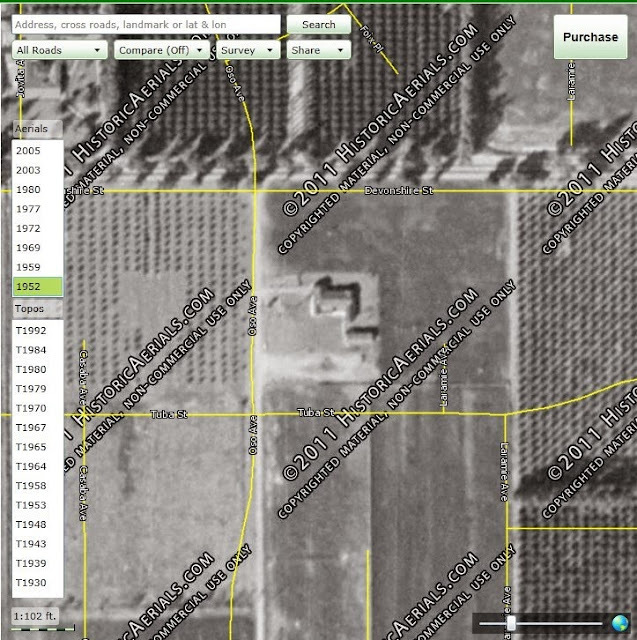 And another fact similar to the Oso property is that the Merridy home was built in 1955 with no homes nearby. 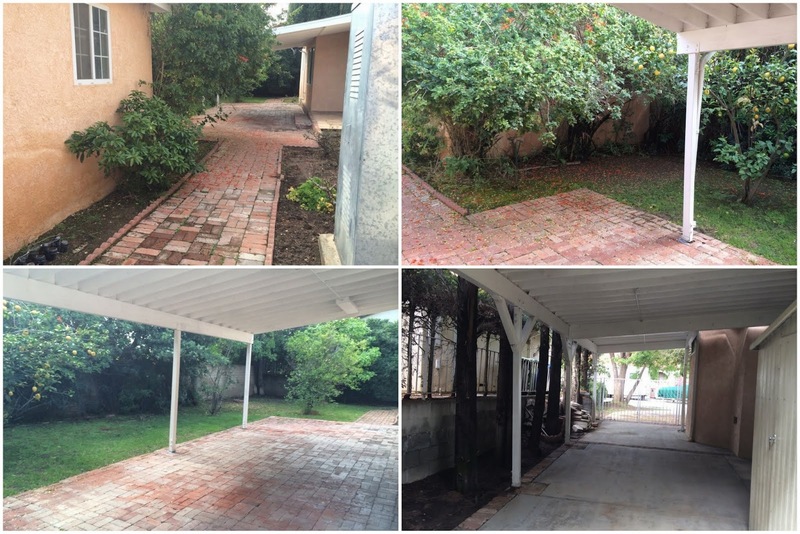 However, 13 years later the property was subdivided and homes nearby were built in 1968 while the main home and pool were not demolished. 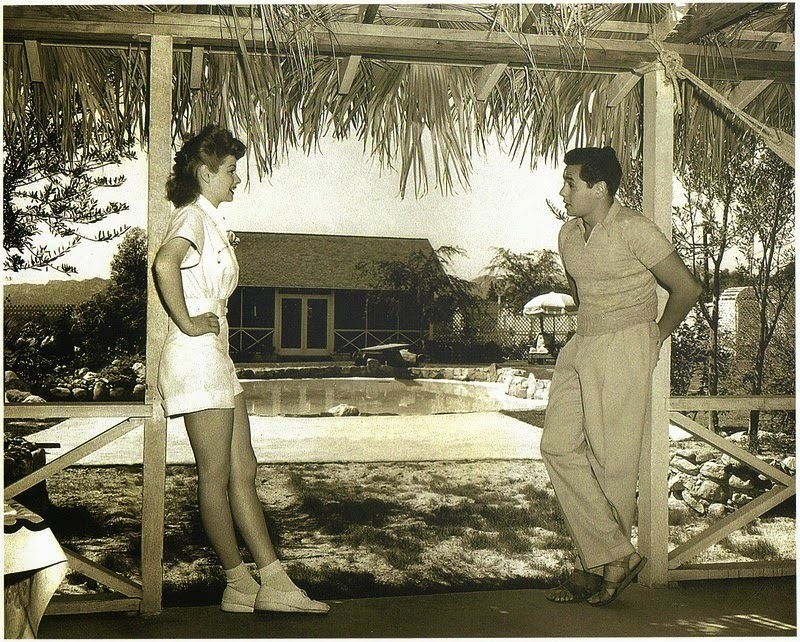 So the location is somewhat unique because it retains its originality despite subdivision but it cant be the home of Ball and Arnaz because it didnt exist before 1955. All three homes in a panoramic shot. 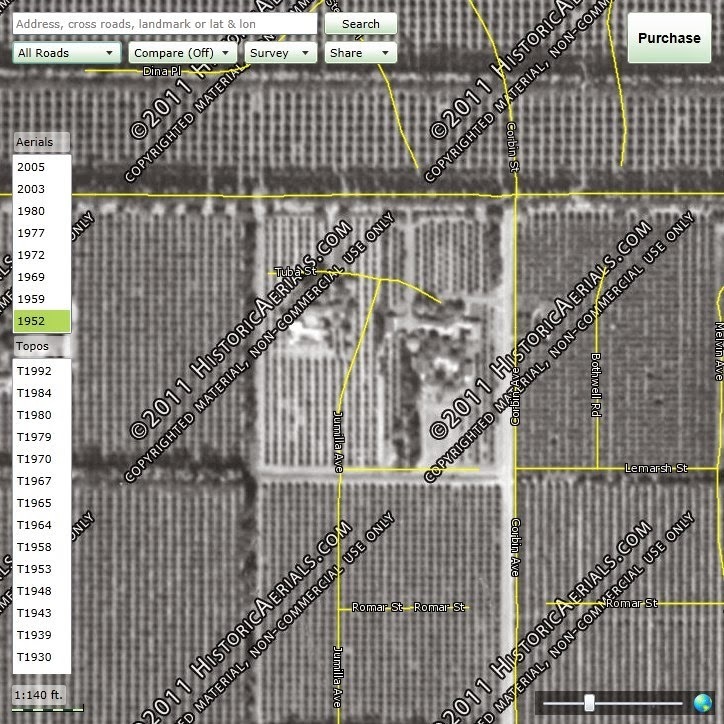 Another location that was rumored was the current location of 10534, 10548, and 10556 Lubao Avenue which were built in 2000. Previous to the 2000 build date, there was a single home that spanned the length of these three homes combined while all the other homes surrounding it were subdivided in the late 60's with the main home spared similar to the Oso and Merridy properties. 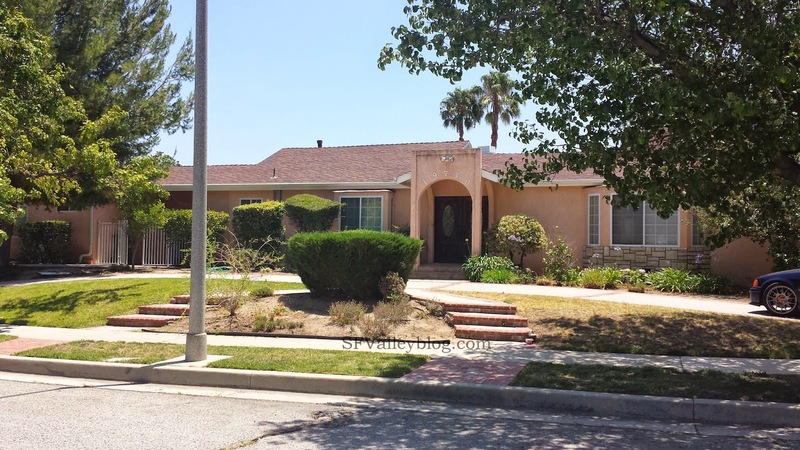 I am guessing that the main home was demolished due to damage from the 1994 Northridge earthquake. 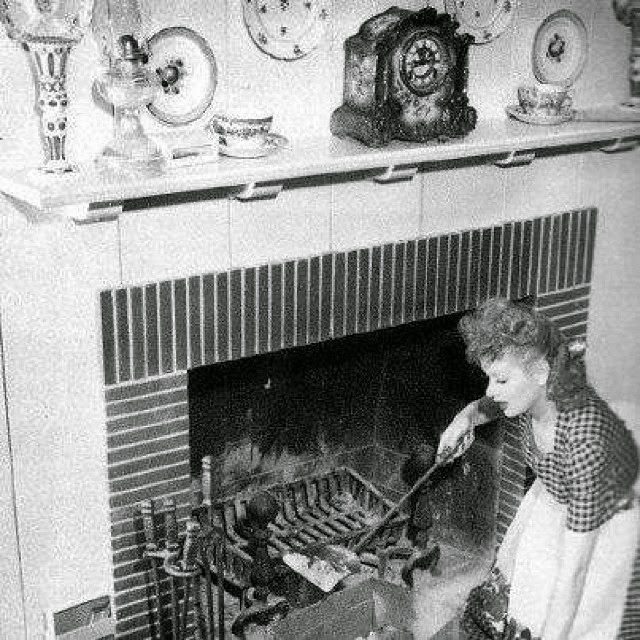 The reason why I mention this is because I read/heard a rumor that the Desilu home was damaged in the 94 earthquake and subsequently had to be demolished. However, the conflicting evidence with this home is that its located on top of a hill while all the pictures show flat land, its located about one block northwest of Corbin which doesnt align with 19700, and there is no guest house behind the pool. The only thing going for this location is that the property existed in the 1952 historical map (shown below) and was large ranch home similar to Desilu. 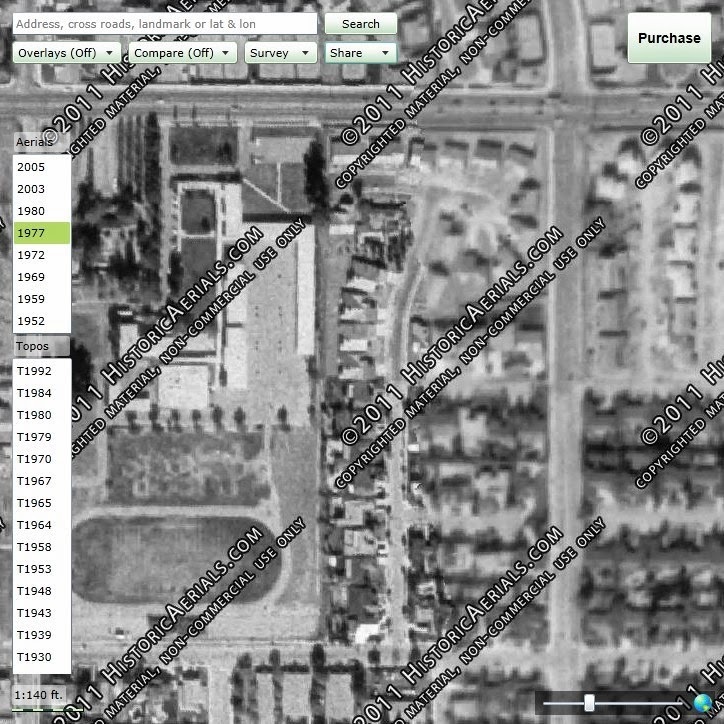 The final rumored location is the present address of 10732 and 10737 Limerick Avenue which existed in the 1952 historical map (shown below) and also contained a pool. This home surprisingly remained intact up unitl 2003 where it was demolished and built into a small gated community consisting of 4 homes in 2005. 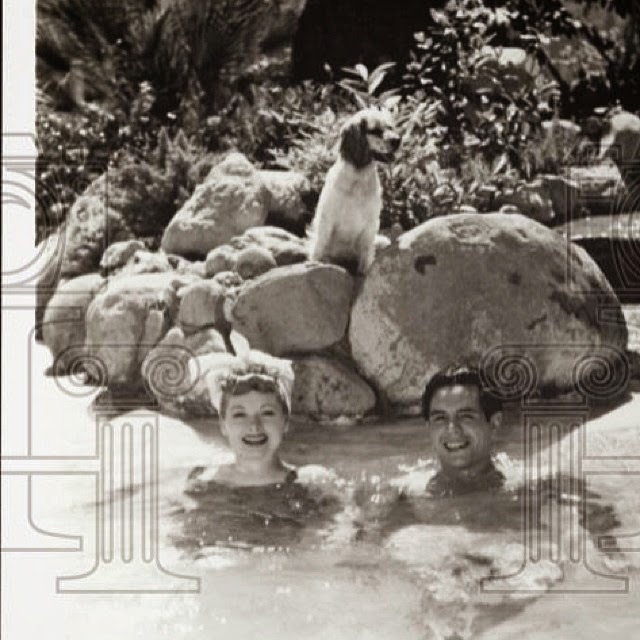 There are many reasons why this location cannot be the Desilu Ranch because the pool was rectangular with no guest home behind it, the distance from Corbin and Devonshire is so great that it doesnt align with 19700, and it was located on a hill instead of flat land. By 2003, the property still remained but the main home appears to be gone with only the pool remaining. Image courtesy Google Earth. The site is fully developed with 4 homes. Image courtesy Bing Maps. 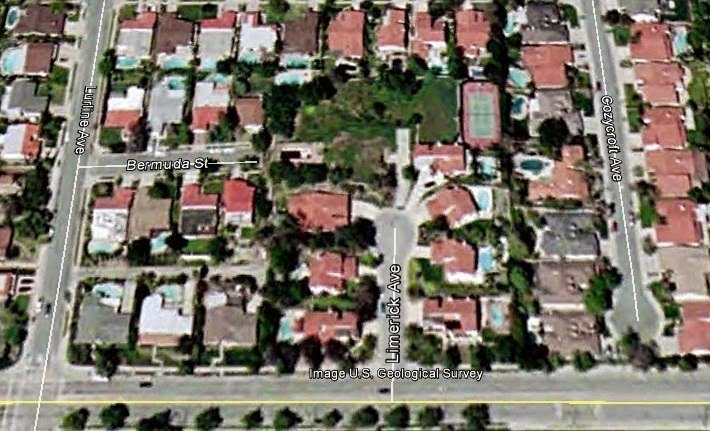 Various evidence from books, articles, and receipts show that Ball and Arnaz lived at 19700 Devonshire Street which is located at the corner of Corbin today which matches the 1952 historical map. With the Desilu Ranch being 5 acres, the actual home was located several yards south from Devonshire but the mailing address or the mailbox was probably located on Devonshire near Corbin as shown in the very first picture at the top. None of the other possible homes mentioned were close to 19700 Devonshire. 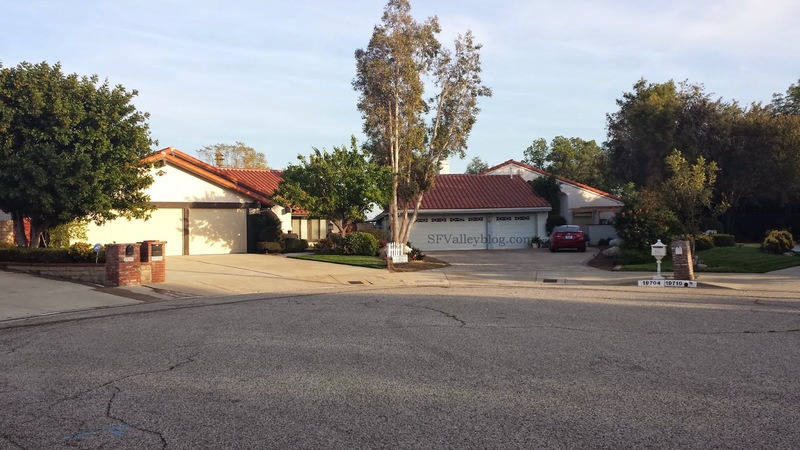 The ranch was built in the early 40's and consisted of a long driveway leading to the main home surrounded by orange groves which contained a pool and a guest house behind it over 5 acres. All of these features can be seen in the 1952 historical map with none of the other homes mentioned showing these same features. 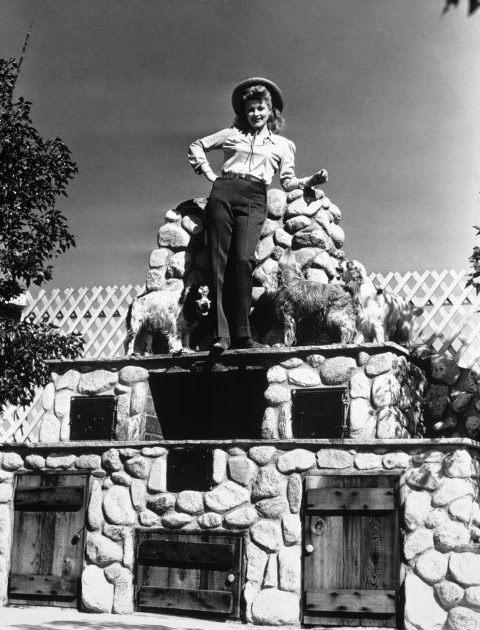 The Desilu Ranch was unfortunately demolished in 1976 due to housing development as reported by lucyfan.com. 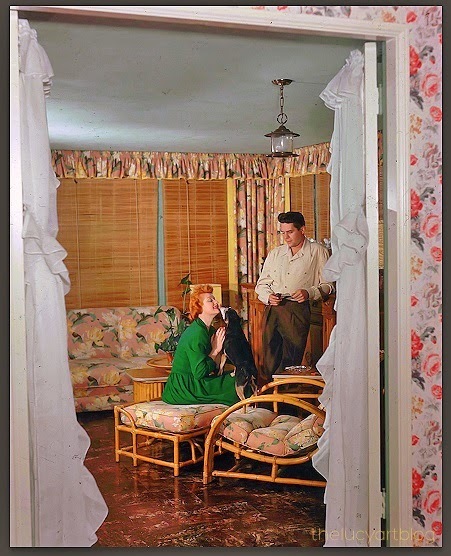 Also, another thing to consider is that if the home were existing today, we would all know about it and there wouldnt be this much confusion as explained above. 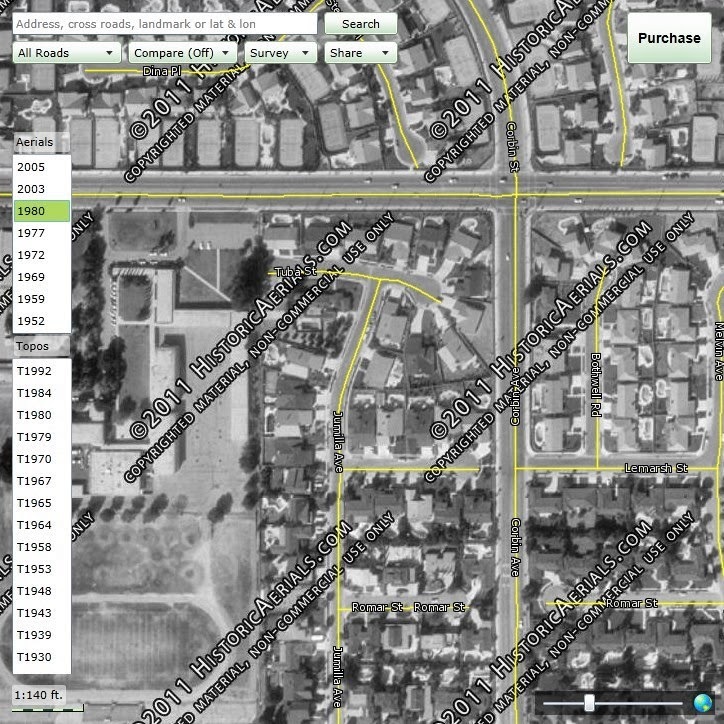 And now its time to fire up the Delorean and go back to the future to the present setting where the former Desilu Ranch no longer exists and has been completely replaced by tract homes built in the late 70's aside from the 1940's ranch home at 19730 Tuba Street which might have been what the Desilu Ranch looked like in its heydays. 19718 Tuba Street. with street sign showing 19700 Tuba Street. 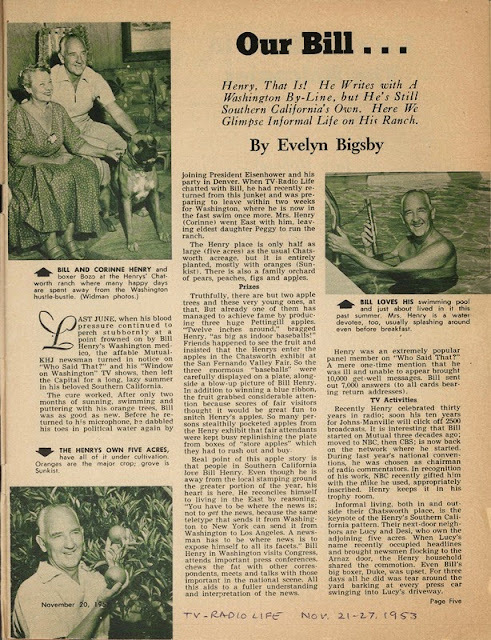 This post is a continuation of the many celebrities that owned ranches during Hollywood's golden age like Liberace in Sherman Oaks, Edward Everett Horton in Encino, Josef Von Sternberg (and Ayn Rand) in Northridge, James Cagney in Granada Hills, Andy Devine in Van Nuys, Roy Rogers in Chatsworth, Louella Parsons in Northridge, Al Jolson and Don Ameche in Encino, Bing Crosby in Toluca Lake, Bob Hope in Toluca Lake, and many more yet to be blogged about on this site. You can view more SFV history and Back To The Future series here. 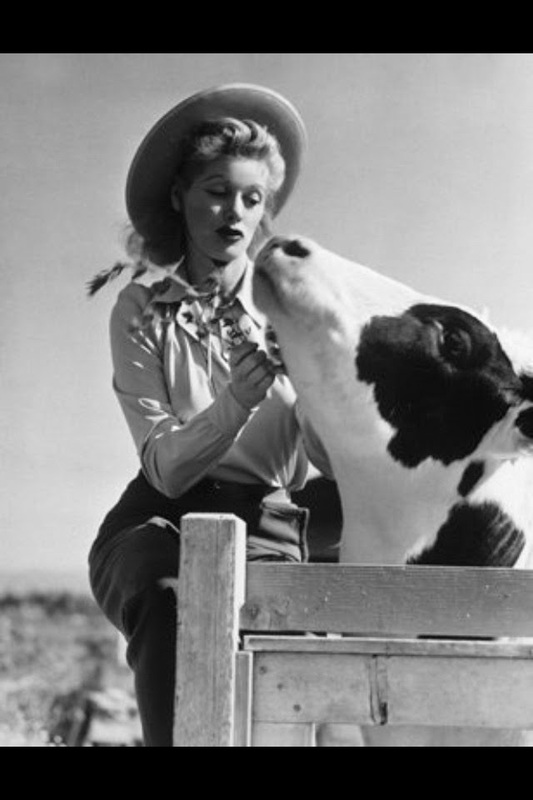 The pictures below are from the lucylounge.com forum topic on "The Ranch." 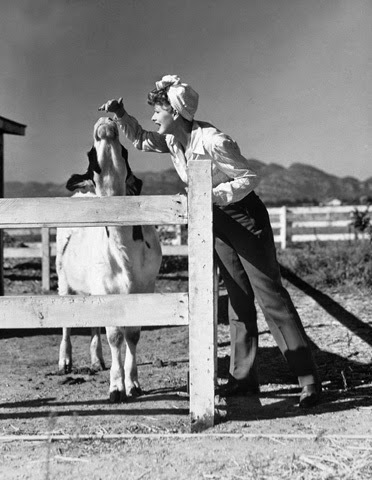 Thanks to all the posters for finding and posting the wonderful pictures of the ranch to give us an opportunity to experience life at the Desilu Ranch. 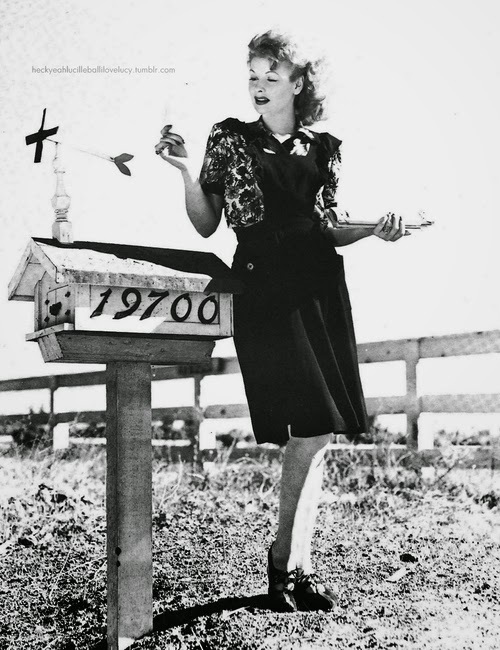 28 comments to ''BTTF# 22: Searching for Lucille Ball and Desi Arnaz's Desilu Ranch in Chatsworth"
Thank you, from the bottom of my heart! 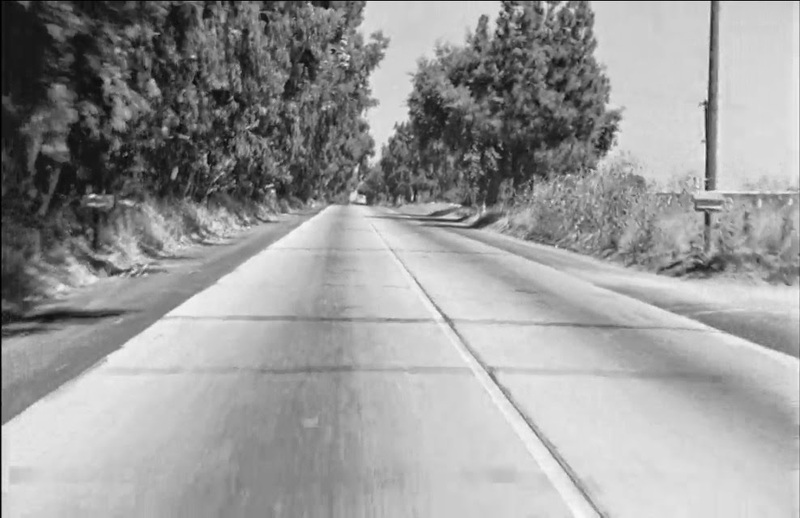 I grew up in Studio City in the 1950's and my family lost our home to the Ventura Freeway in 1956. 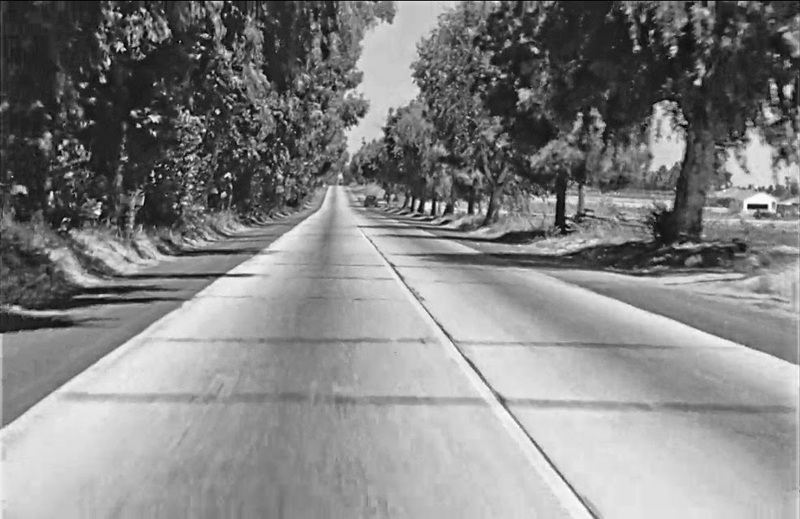 I remember driving on Devonshire Street when it looked like the film here, in about 1958. I've watched it three times during the past 2 days and I'm in tears every time. 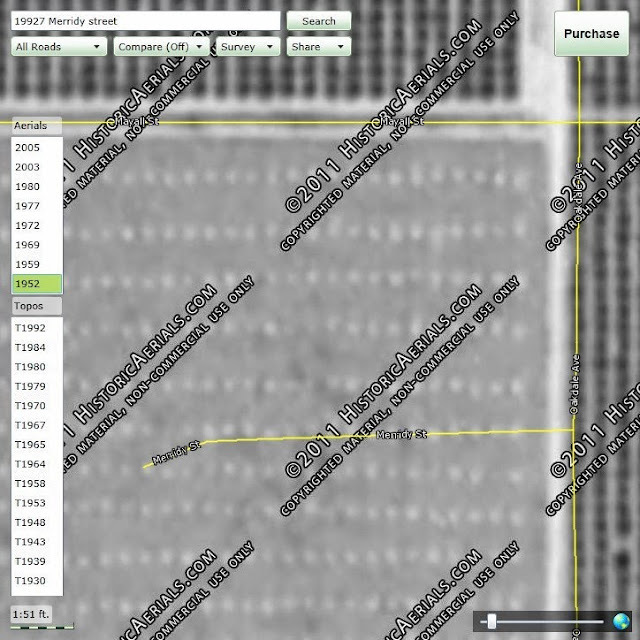 Yours is the most thorough research I've ever seen on the original location of Desilu Ranch. I wish I had found your blog when I recently lived in Northridge, 2003-2010, taking care of my parents in their last years. 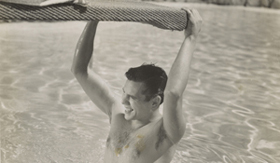 During this time, I was given all the wrong locations for Desilu Ranch that you mention. 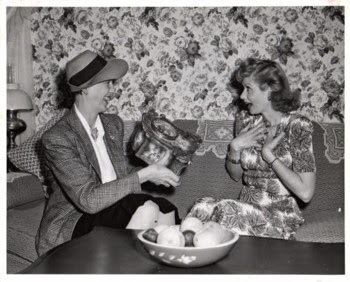 So, I'm loving this wonderful research and those photos are fabulous! Again, thank you! I lived in Chatsworth from 1969 to 1984. My parents were there until 1993. 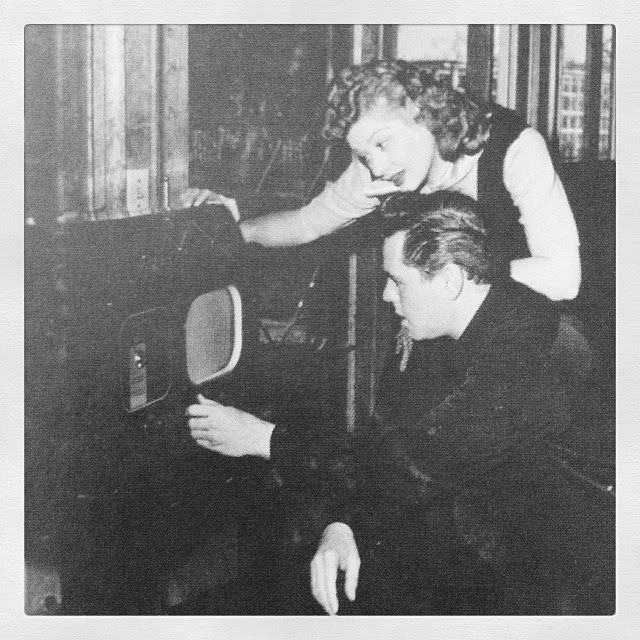 My father worked in TV and knew of the history of the home. I was saddened when the land was subdivided. I loved seeing the ranches in the area. What my father said of the home matches your research. I have no doubt that you have correctly identified the home. Wow! 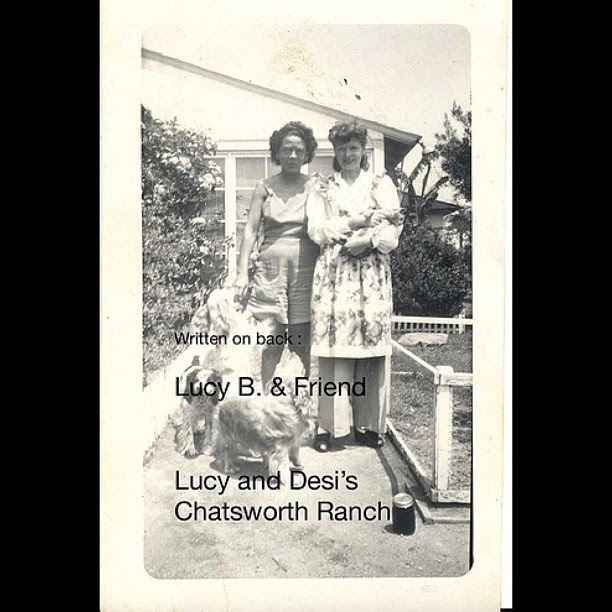 what a magnificent article containing extraordinary research into seeking the exact location of the Desilu Ranch in Chatsworth.I am so glad to read the information and to add my testimony to the story. 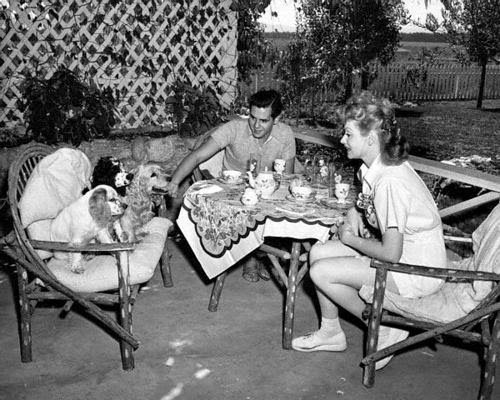 and we often saw Lucy and Desi out in the patio area of the house on the corner of Devonshire at Corbin Ave.
Everyone in Chatsworth knew where they lived and they were often seen around town. And I saw them frequently at the Veronne's Market at Canoga Avenue on the south side of Devonshire. 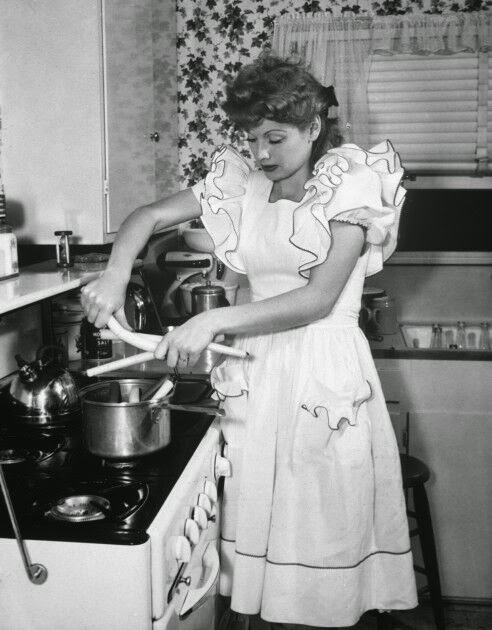 I was there once when Desi was there in the butcher shop in the rear arranging for beef for their freezer. 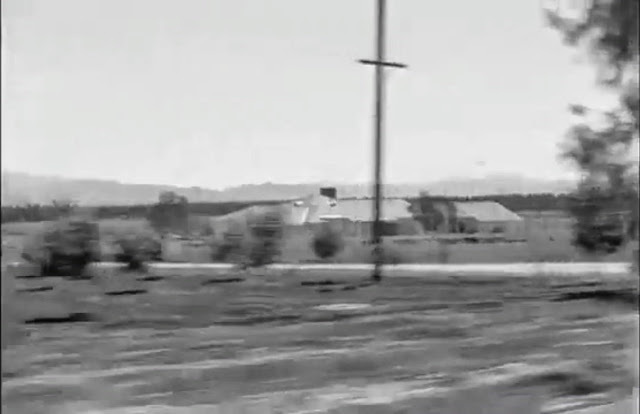 Ray "Kelly" Johnson was the only postman on wheels in the tiny little town of Chatsworth. 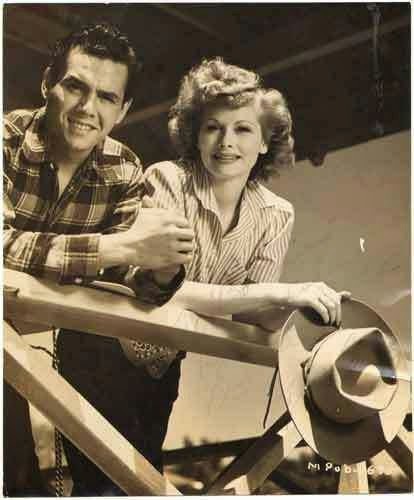 He visited with Lucy when he took her the mail and locals teased him about taking so much time there. 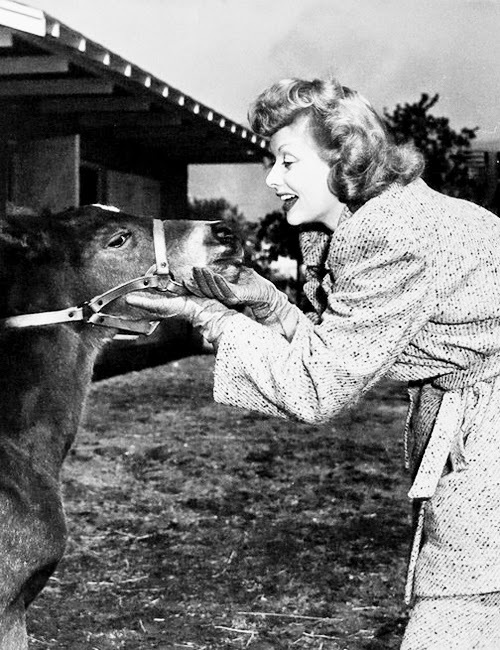 Lucy was known to be very friendly. 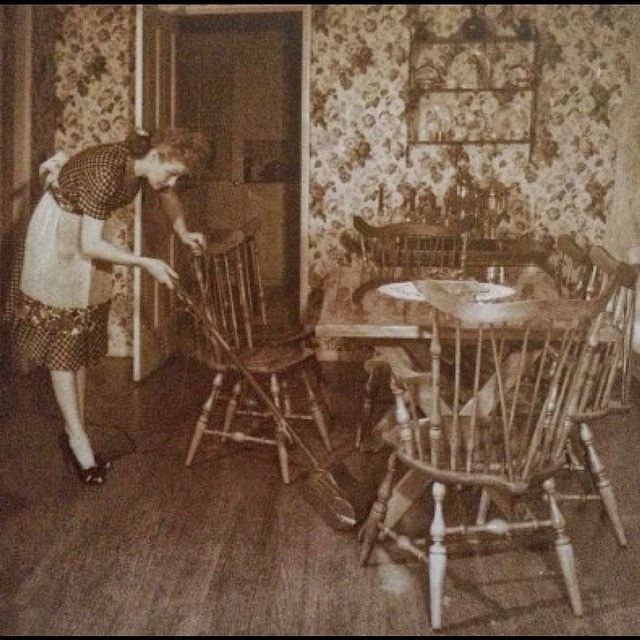 Kelly was a member of the Pioneer Ann Johnson family and one of the founders of the local historical society when it was formed in his living room. Thanks Virginia for the story, love reading about it and something that you can only get from first hand accounts like yours and not in a book. The house at 19730 Tuba, a photo from the 1970s-80s which you included above, was listed for sale in the luxury real estate magazine "Unique Homes" in the October/November 1989 issue. It includes a single photo of the exterior, and the text identifies it as the Ball/Arnaz house. 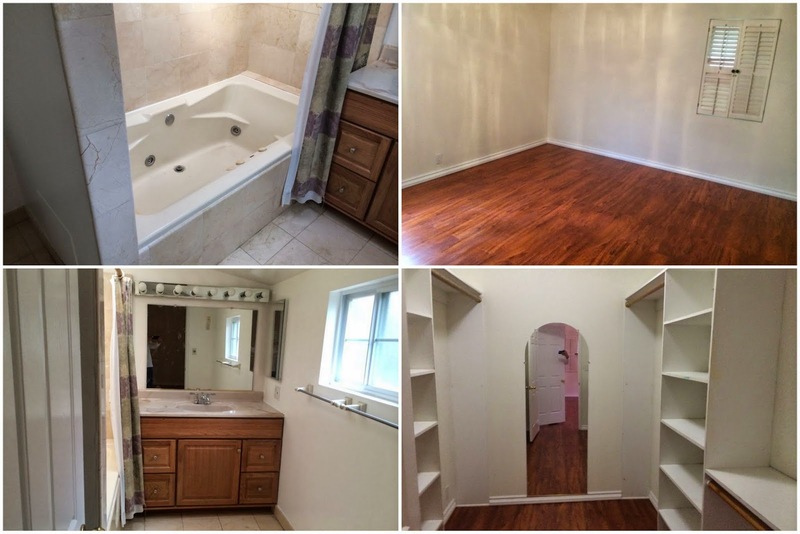 The description states the house has 15 rooms, 4 bedrooms, and 5 1/2 baths. 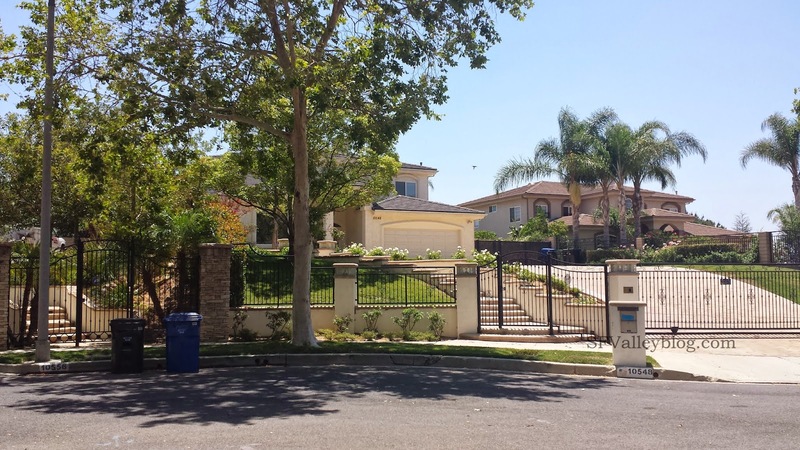 The lot had an outdoor children's play area, 45 foot pool, and a paddleball court....all for only $949,000. Thanks Kevin for the info. Would you be able to share images from that magazine to add to the post? I live in the SF Valley and found this very interesting. Every now and then I am curious about something so go look it up....and this time the ranch was on my list. Thanks for the great page you've done here......enjoyed it very much. It had a long driveway with Orange groves on both sides, and a circle out front with an American flag in the middle of the circle. The principle's office was the first door on the right.... The old garage/stables at the back of the property were converted to classrooms... and in the main house, they had the nursery school in the master bedroom, and then kindergarten in the newer kid's suite that was added to the home later (I think that's in your article too). I tried to do a little research for the Egremont school, I wonder if they would have some history of the home, pictures, etc from when they first bought it, and how they converted the home into a school. 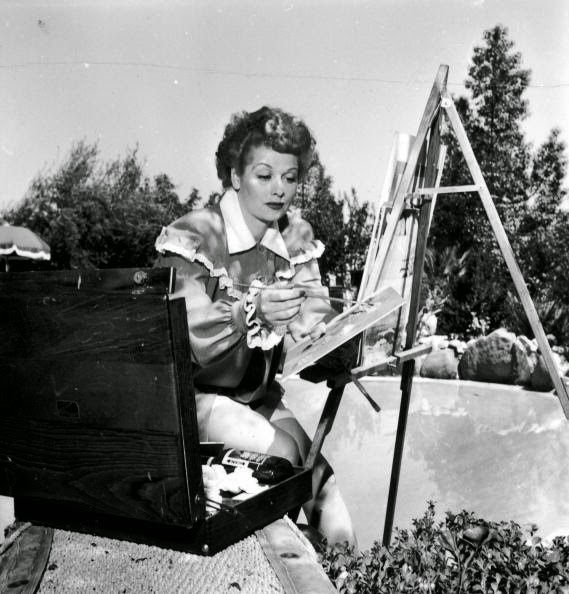 It felt really special going to that school, and being in Lucille Ball's old home... not that you could feel them there or anything... just that sense that the property was special... It's gone now... wish I had some pics... I have been trying to find old yearbooks for pics to share. The Egremont school property is NOT the where the Desilu Ranch was. It is close to it. What a wonderful time travel experience. 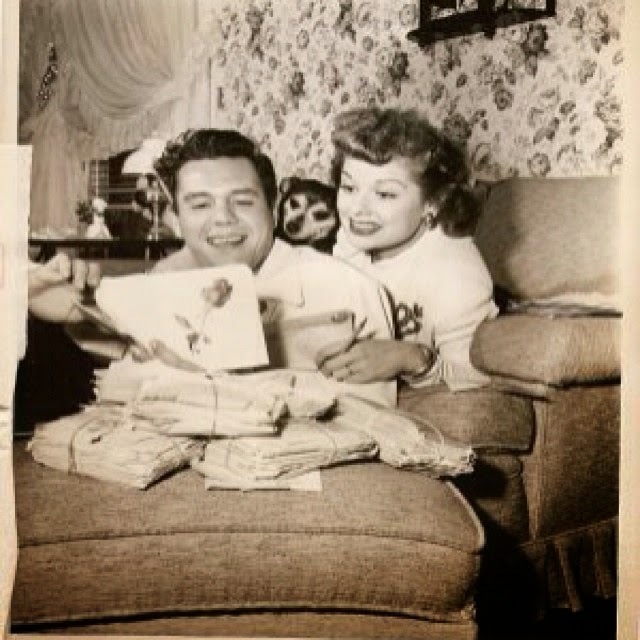 In rare home movies that Lucy Arnaz and Desi Arnaz Jr. had released and also appeared discussing their parents family life. They show the home movies at the Chatsworth Ranch. 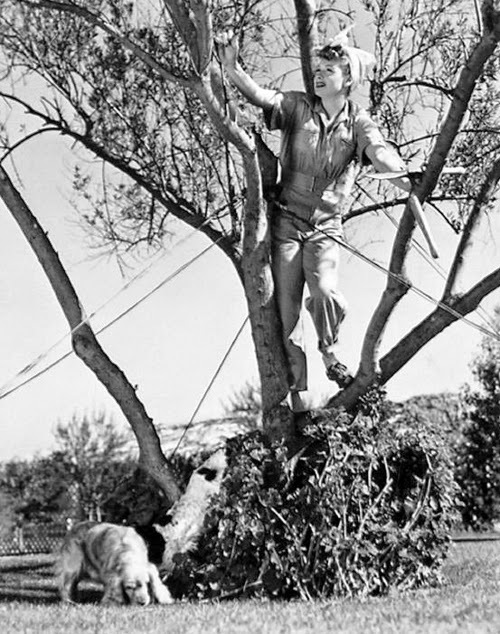 There was a tree on the property where Desi carved Desi ♥ Lucy. There were rumors that the tree still exists. 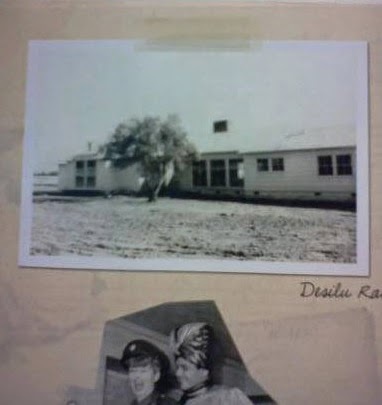 yes...the Desilu Ranch is where Egremont School is now located.. Went there as a child. Totally incorrect. 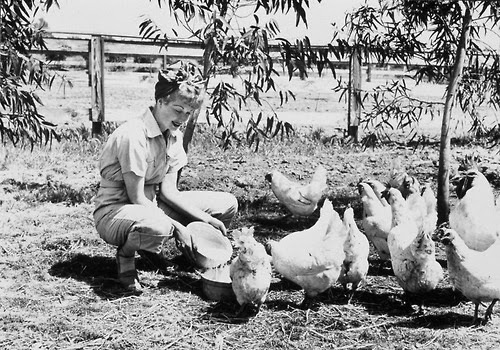 The Desilu Ranch is NOT where Egremont School is now located. Read the article! 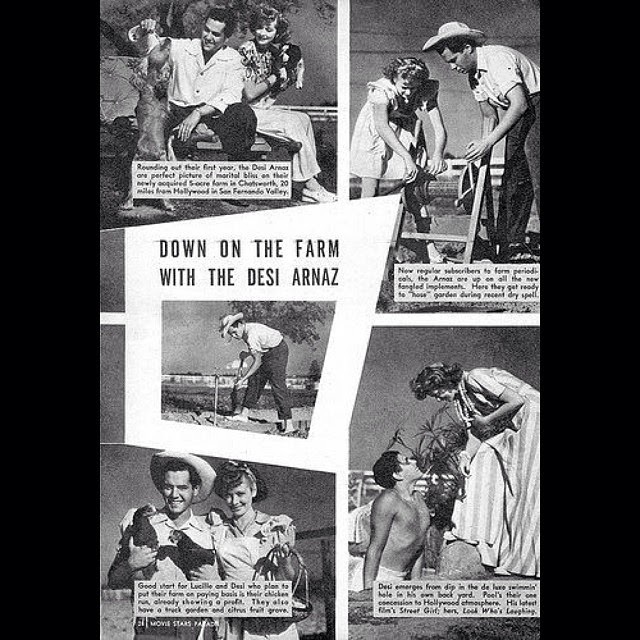 Ever thought about asking or contacting Lucie Arnaz or Desi Arnaz Jr.??? 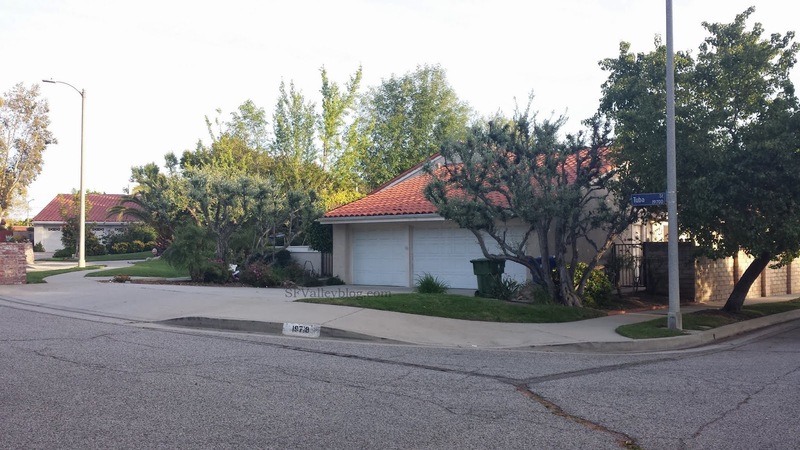 My name is Sulu and I have lived in Chatsworth since 1983 near Devonshire and Corbin. 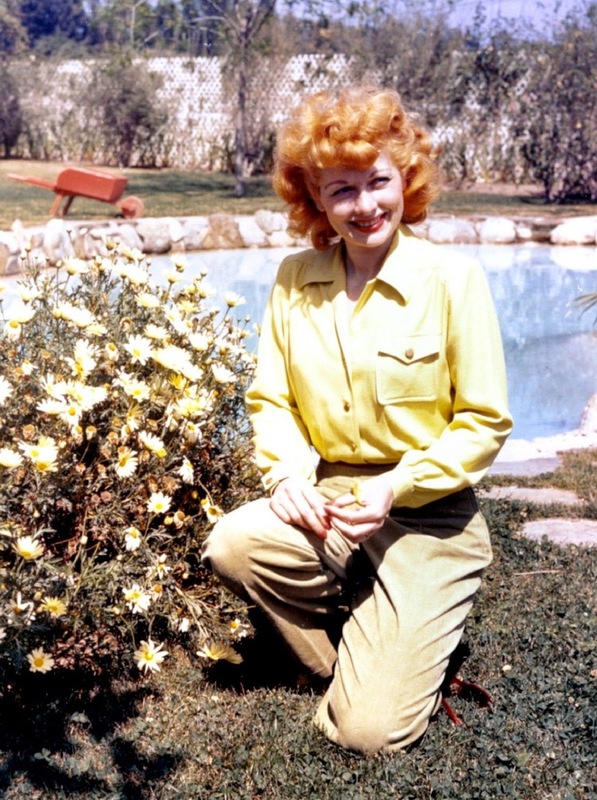 I too have been interested in the location of the Desilu ranch. My daughter attended a birthday in 1997 at the adddress of 19927 Merridy Street .... the former owners had records of the house being sold there and Lucy signed it Lucy Arnaz. 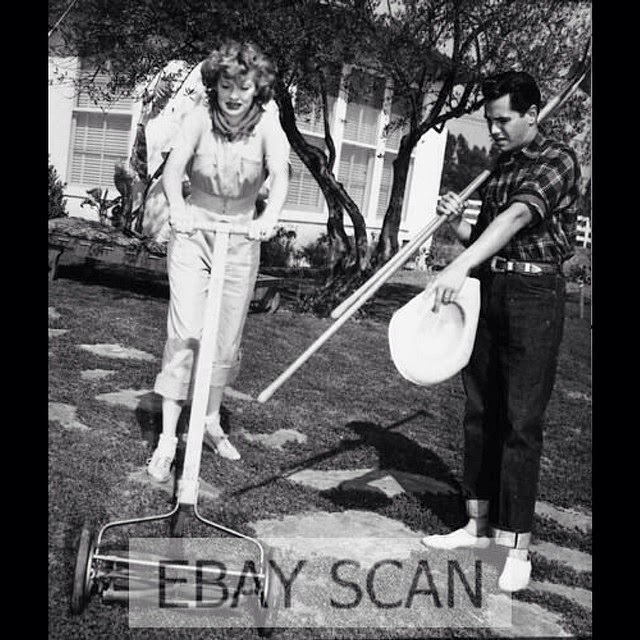 When it was sold I talked to the new owners a couple years ago at a garage sale and they too had papers recording the sale of that property at 19927 Merridy Street with Lucy's signature. 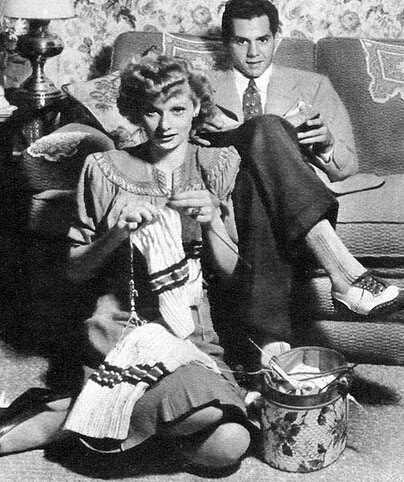 It was believed that it may have been a guest house for Desi or Lucy's mothernlaw. 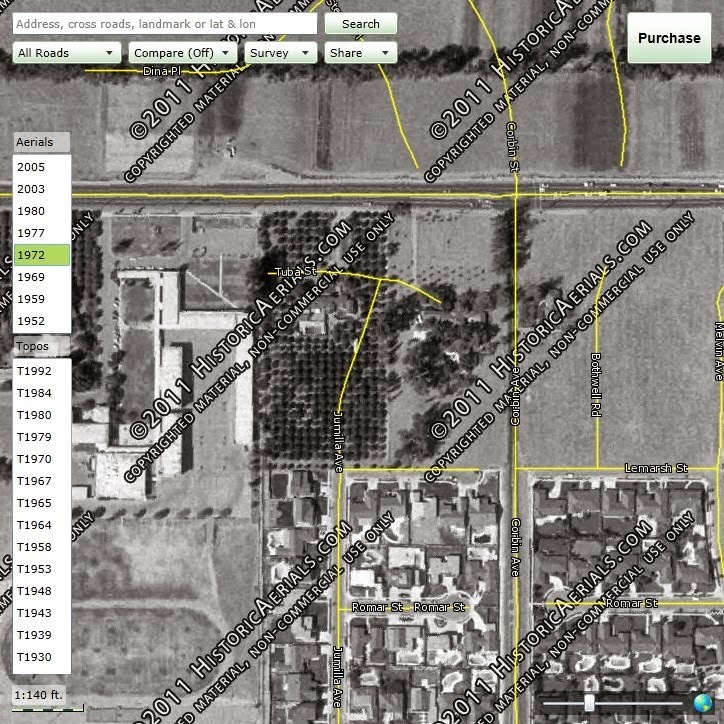 It is a block southwest of the property you think was the Desilu Ranch. This may have already been mentioned but, growing up in Chatsworth in the 1970's, I remember the old white building at Egremont school and hearing the school was on their former property. I wonder if the school has some interesting historical photos of the building and area before it was demolished and replaced. 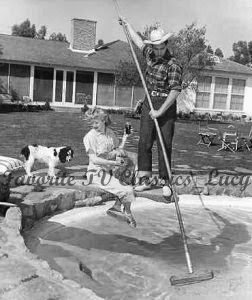 I grew up in the San Fernando Valley, and I remember driving past the Desilu Ranch location frequently. You could not really see the house from the street, but we knew it was her home. 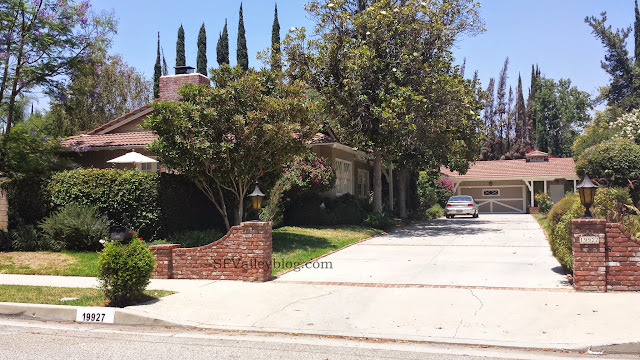 Working in Chatsworth in the 1980's, several local residents, at different times, identified the house at the end of the cull-du-sac on Limerick Ave, close to 10731,as Lucille Ball's house, before the property was purchased and subdivided into multiple lots. 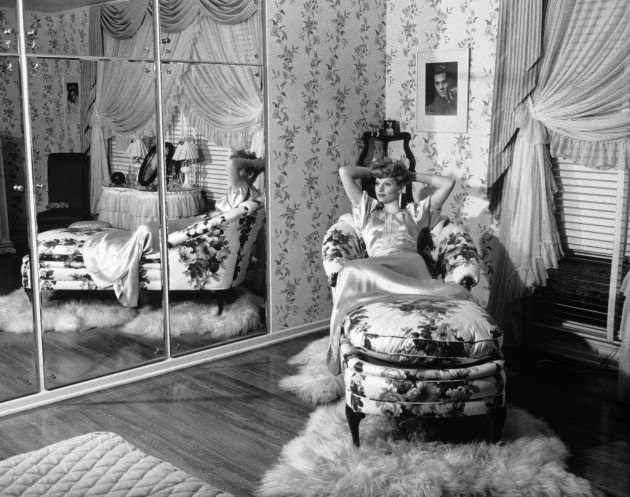 This was probably a property she once owned, and did she ever live there? I don't know. 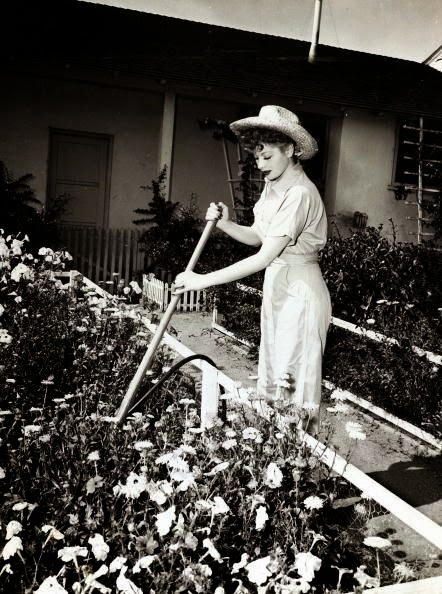 But I believe that she did have a connection to this property in the very early days of the SFV. 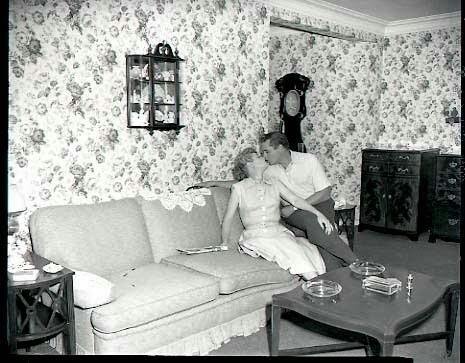 This house was located at Devonshire and Corbin (south side) and torn down in 1976. The facts and evidence are in the post. Thanks for reading. Thanks so much for the articles and the picture. 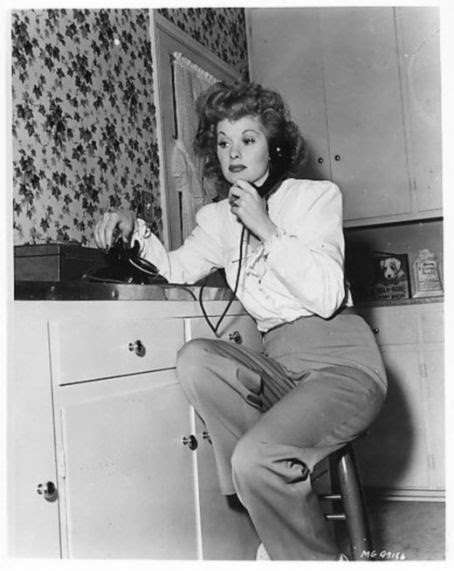 I am a big fan of Hogan's Heroes and because it had Desilu on the DVD I wanted to know more about it. 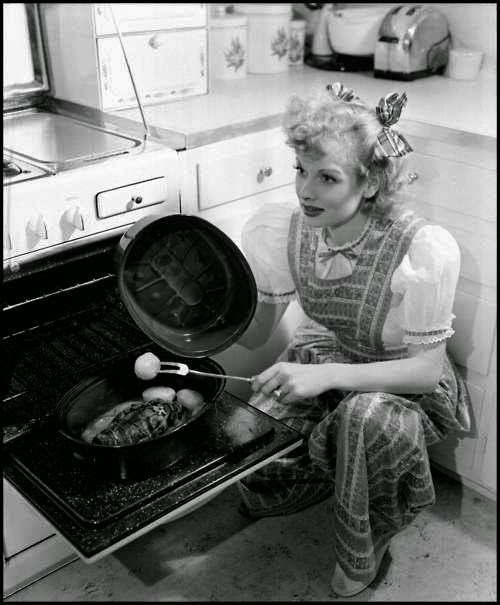 I was born mid 1960s and remember I Love Lucy very well. 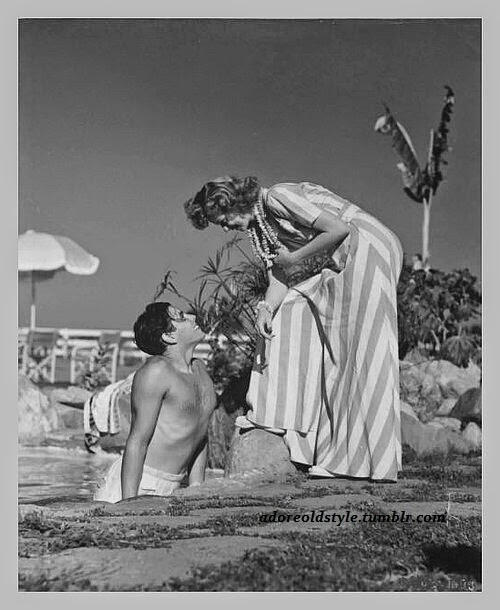 I know they were married and lived out in California but never knew where they lived. I was born on the east coast and have never been out west. Never was interested in where anybody lived before, but the description of the ranch and the pictures are fabulous. 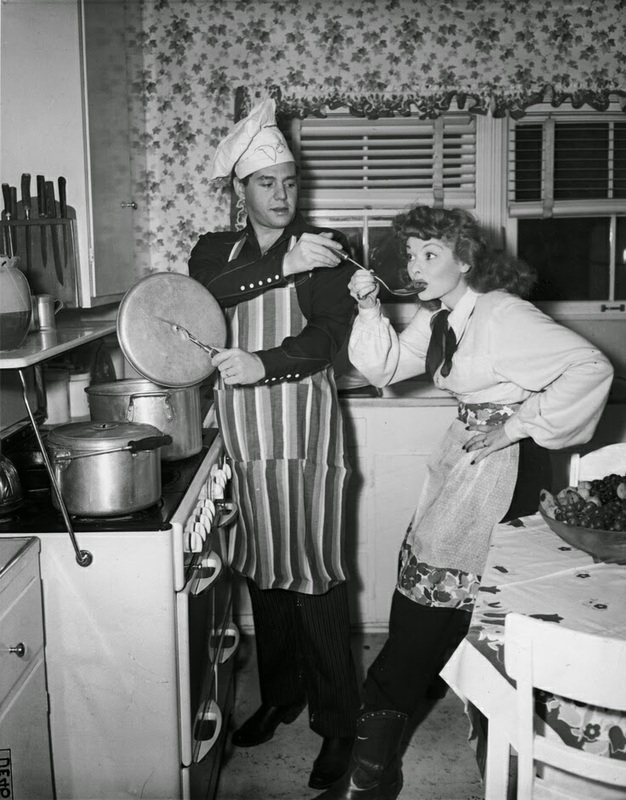 Lucille Ball and Desi Arnaz were way ahead of their time as a comedy team, a couple, and a couple. 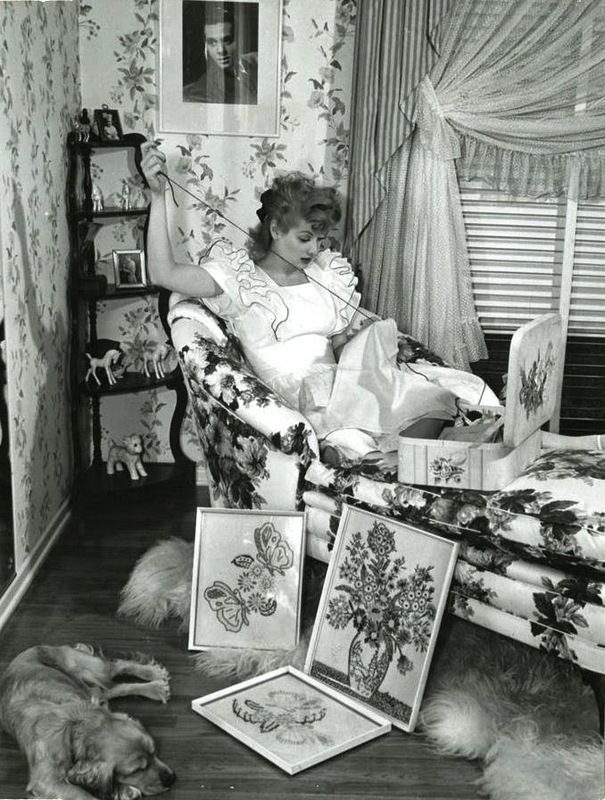 I remember a Brady Bunch episode where Desi Arnaz Jr. was mentioned in Marsha's diary and Cindy accidentally gave away her diary to book stores for donation. 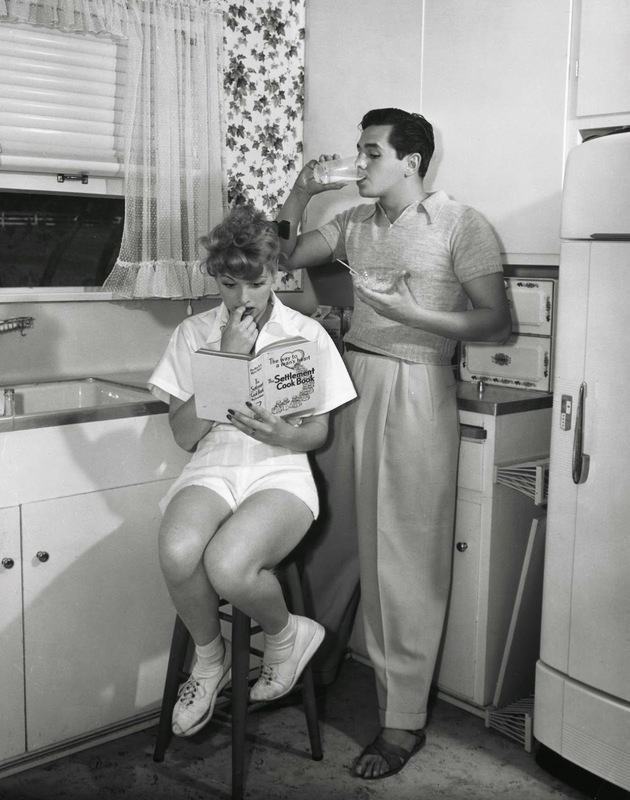 Desi Arnaz Jr guest starred on the show at the end when Cindy hands her the diary in front of him. 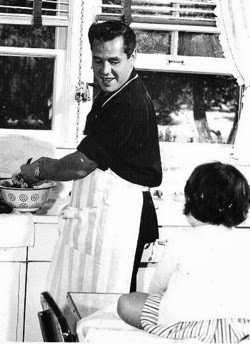 Desi Arnaz Jr commented on the show that he was pleased Marsha thought he was better than Captain Kangaroo! (That tells you my age!) Thanks. Sorry, my paragraph had "couple" twice. 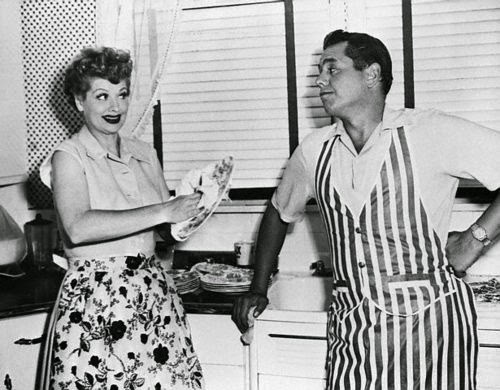 I meant to say they were ahead of their time as a comedy team, a couple and as a business couple. 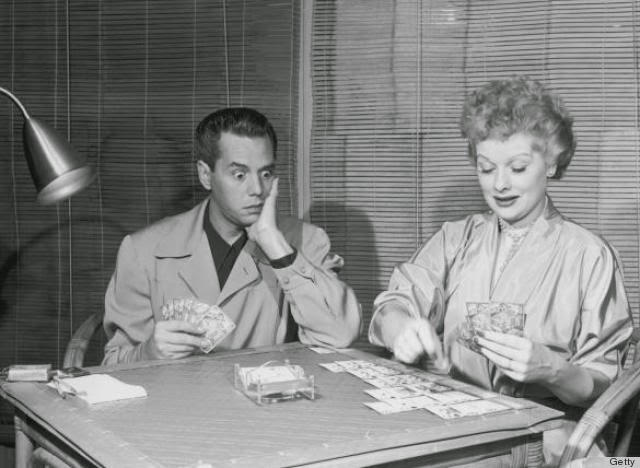 Desi Sr. was the first to realize the longevity factor in television series which is why I Love Lucy, Star Trek and Hogan's Heroes still remain funny and relevant today as when they were made many decades ago. 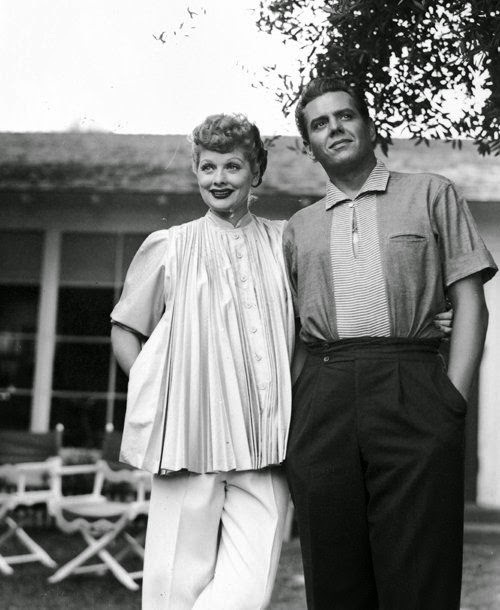 I was shocked that Desilu was involved in the first and part of he second season of TOS of Star Trek. It was several years after high school when TNG was put on Paramount television station (part of cable package). I remember Gene Roddenberry saying in an interview (for a TV special) that aired when TNG just started and TOS was doing movies they couldn't pay him enough to go through another series of Star Trek again, but he did (because of the creative control, I think) until he died and TNG was placed in very capable hands as well as DS9 which began to air at the end of TNG's run, and Voyager which began after DS9 started to run without TNG airing at the same time. Majel Barrett did a great job as the doctor's nurse, the computer voice of the Enterprise D & E, and of course on TNG as a guest star as Deanna Troi's mother, Lwaxanna Troi. She deserves as much of the credit as anyone else for being so involved in her husband's work and am glad her husband's legacy lives on.